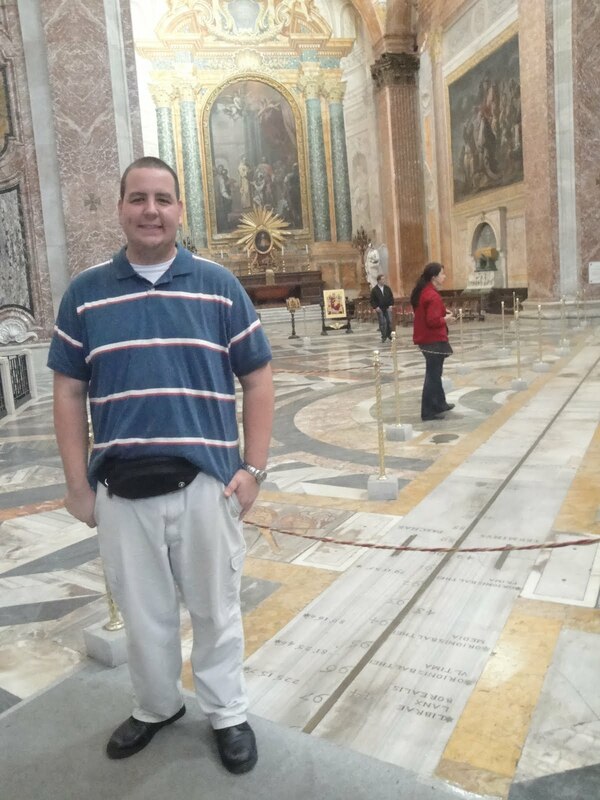 “Incredible”, “Amazing”, “Well worth it”, “Awe-inspiring”, and “Fun” are just fraction of the words that I could use to describe this pilgrimage to Rome, Italy that I went on. 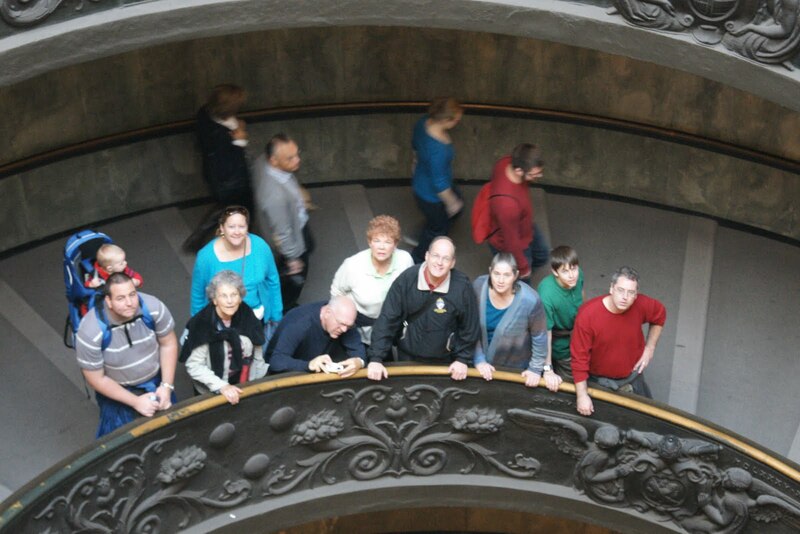 I traveled with a group of parishioners from the Cathedral of Our Lady of Perpetual Help in Rapid City, SD lead by Fr. Mike (the rector of the Cathedral). 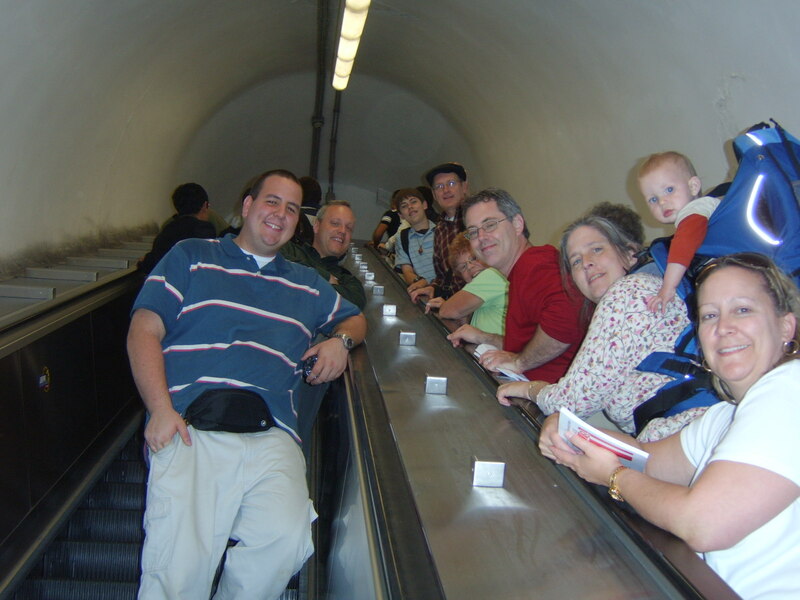 We left for Rome on October 8, 2009 and got back on the 18th of the month. I want to give a day by day account of what we did, what thoughts came to me during those times, and generally what we did. Obviously I won’t be able to share my whole experience because it’s my own journey and these are all experiences unique to me, however, I hope to convey some of the emotion and feelings of my experience to you. 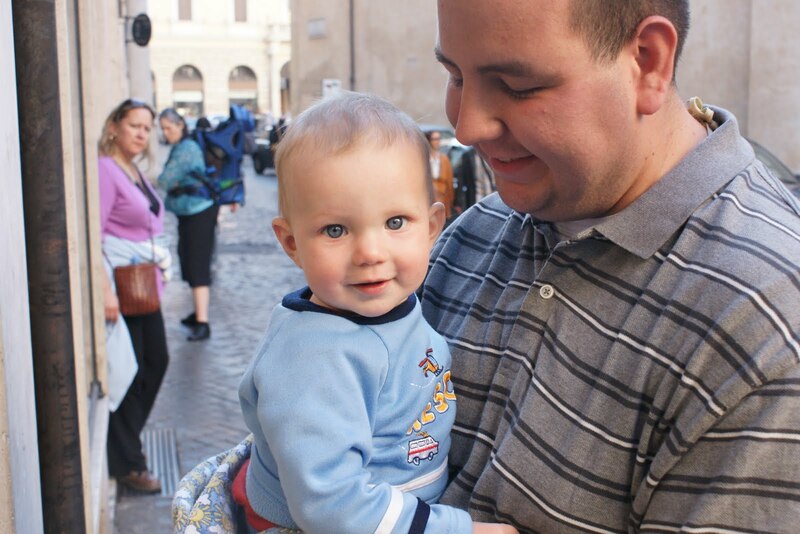 This day was very short because as we flew to Rome we lost 8 hours making this day the shortest I have ever experienced, only a measly 16 hours! We flew from Rapid City, SD to Minneapolis/St. 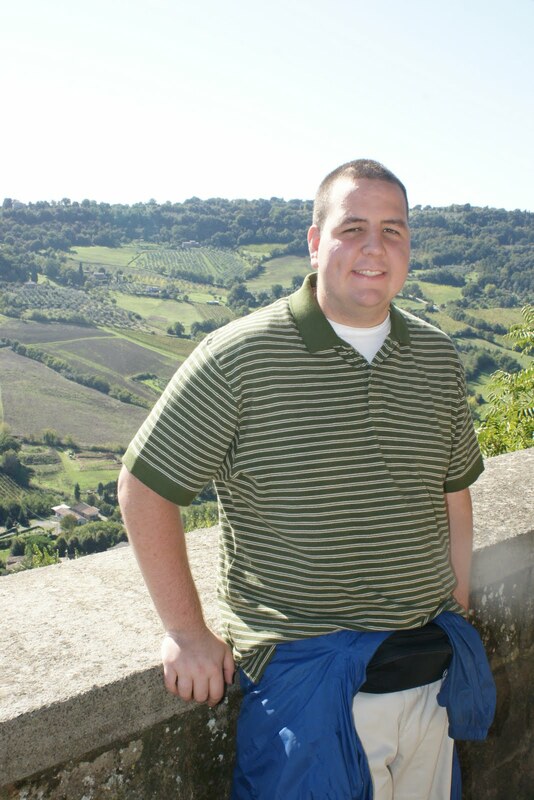 Paul, MN to Amsterdam, Netherlands to Rome, Italy. By the time we got into Amsterdam it was 6am (on October 9th) but only 10pm Rapid City time (on October 8th) so I wasn’t tired at all. On the flight from Amsterdam to Rome I crashed though and slept for most of the 2 hours plane ride. In order to help our bodies adjust to the new time, we made this day a full day. 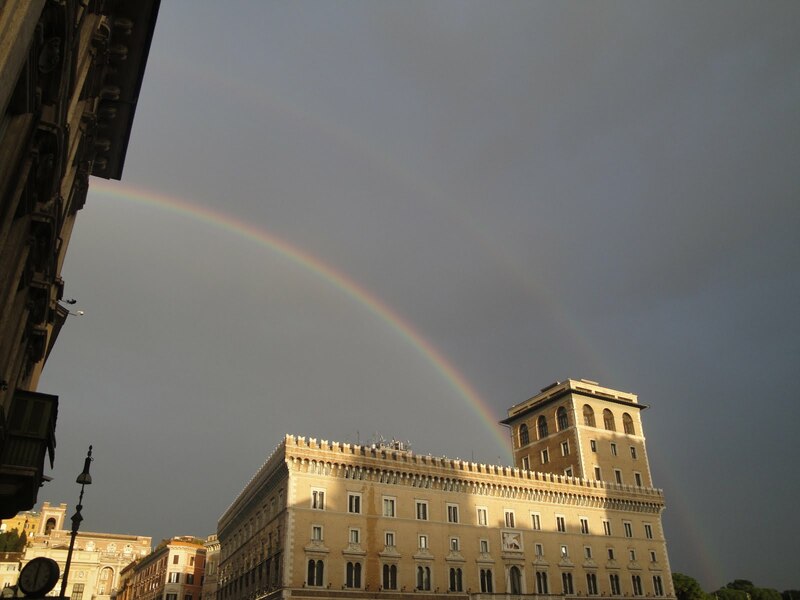 We flew into Rome around midday, then delivered our bags to the Convent where we were staying and walked to an ATM to get some Euros for the week. 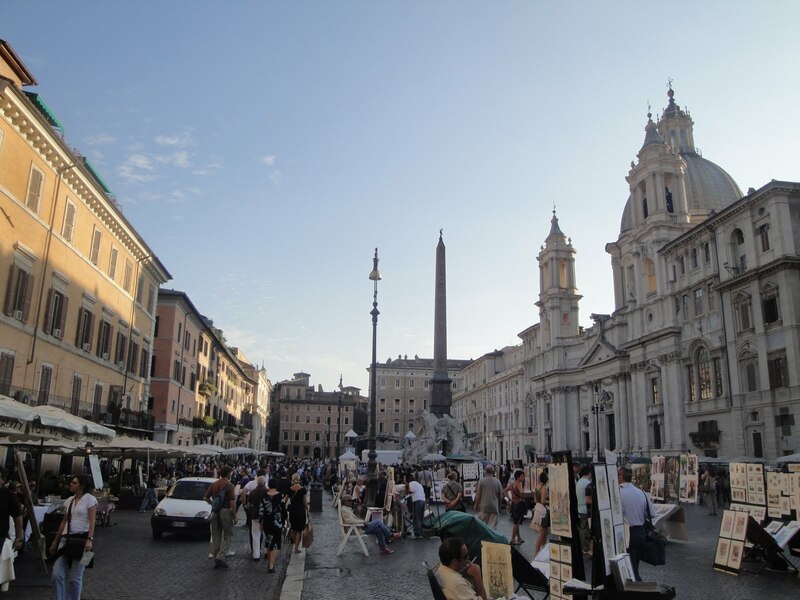 The Piazza Navona – A large open area with street vendors that was once a race track (circus) during the Empire. 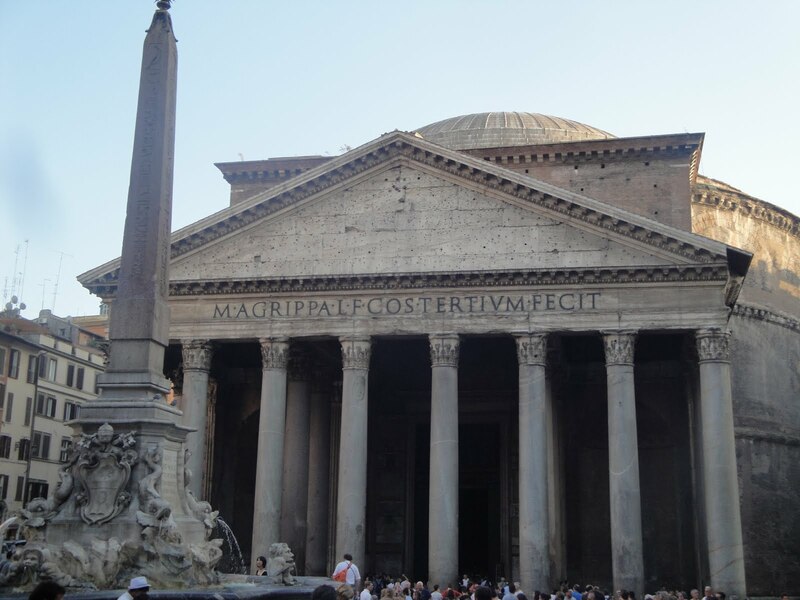 The Pantheon – The oldest continuously used building in Rome. Built first in the first century A.D. and rebuilt in the 3rd century. 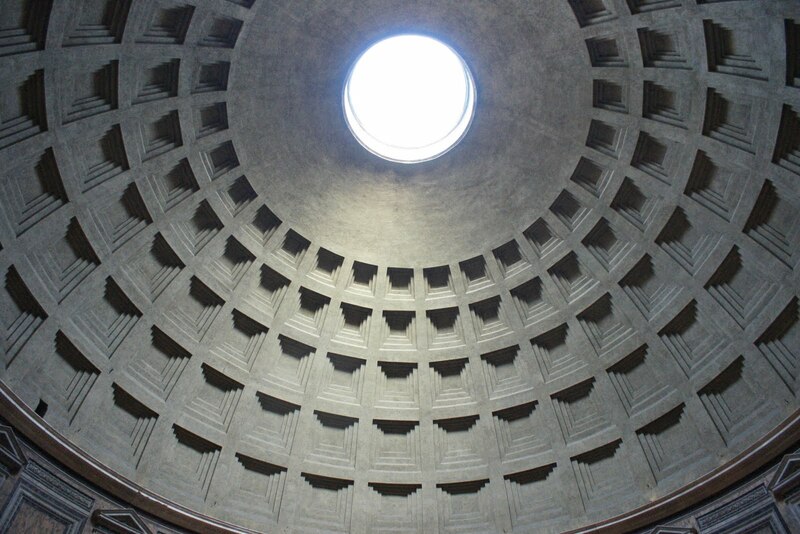 Even after almost two thousand years after it was built, the Pantheon’s dome is still an amazing architectural feat. The Republican Temples – Ruins of three temples from B.C. 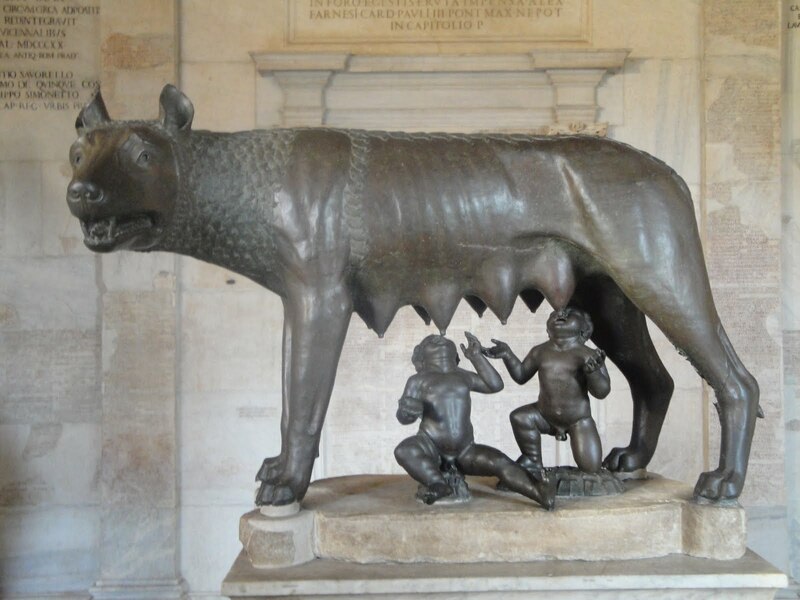 (home of some of Rome’s many cats). 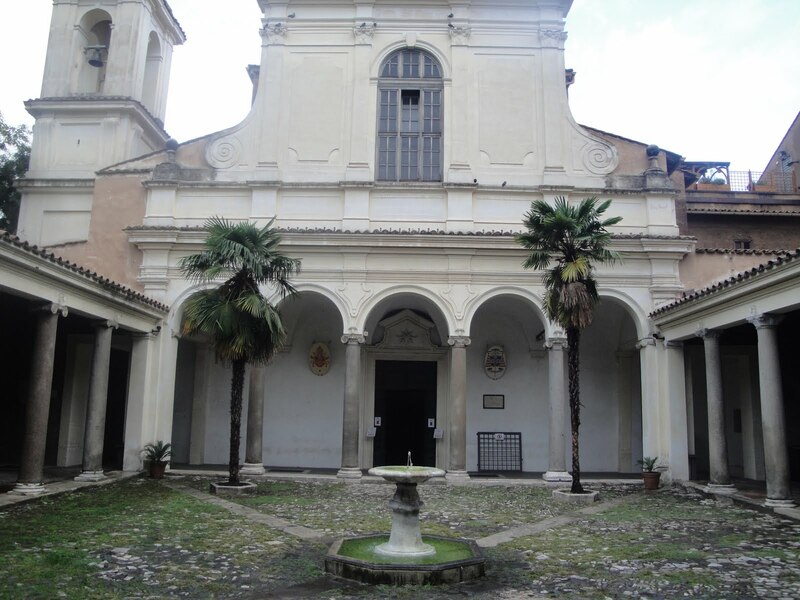 Basilica San Clemente – This church was built on a church built on a house church. This basilica was very interesting. We got to tour the basement and got to see the foundation of the first basilica built there and got to see some of the really old frescos down there as well. 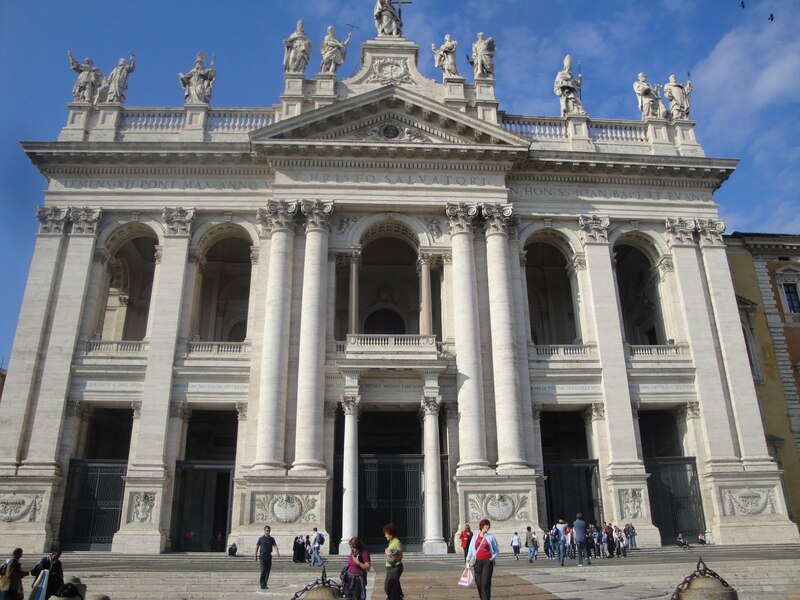 Saint Giovanni in Laterano – This is the Cathedral Church of the Pope, the Bishop of Rome. 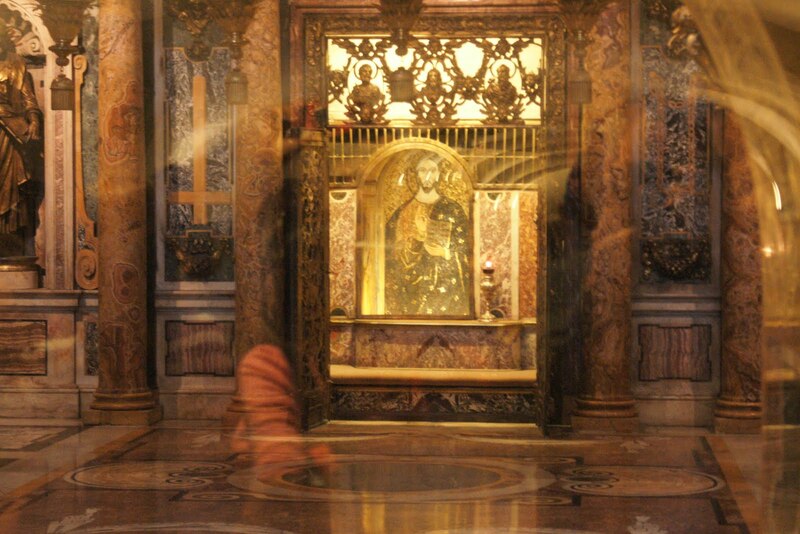 It has magnificent statues of all the apostles. 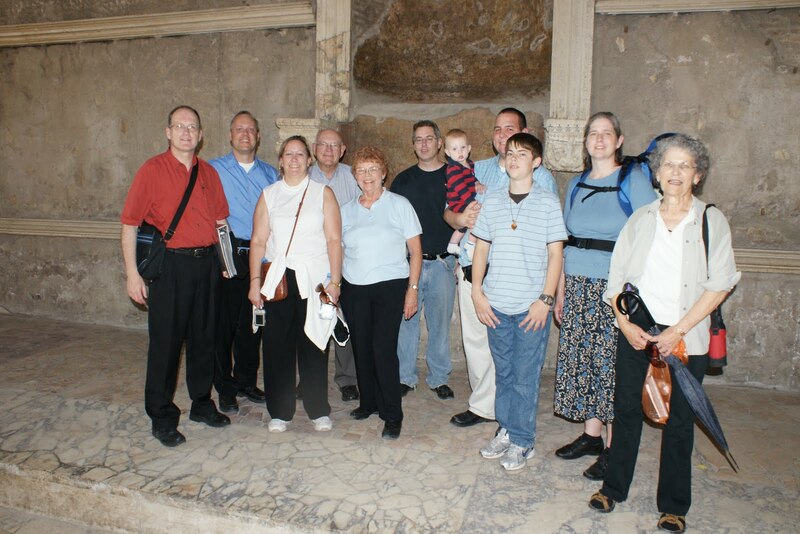 We also visited the Baptistry of the Cathedral. 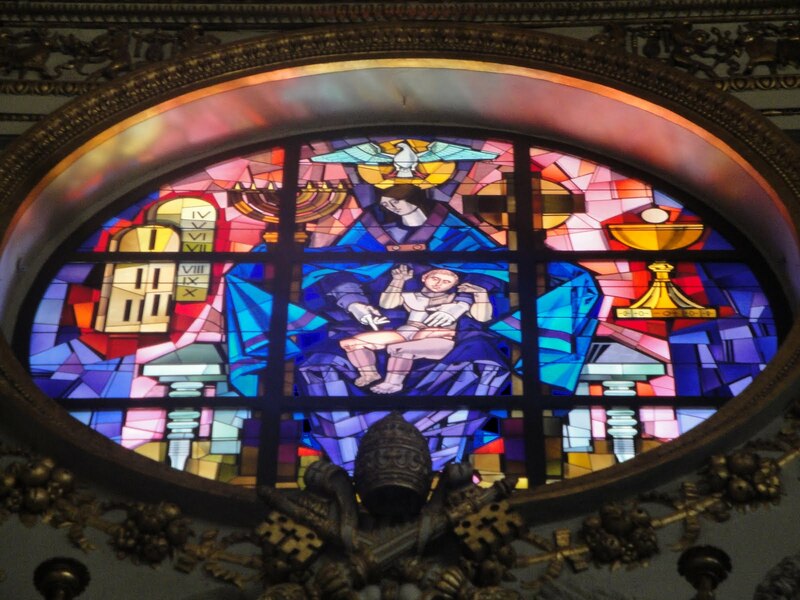 Our Lady of Perpetual Help icon – The original picture of this image of Mary is located in this church. 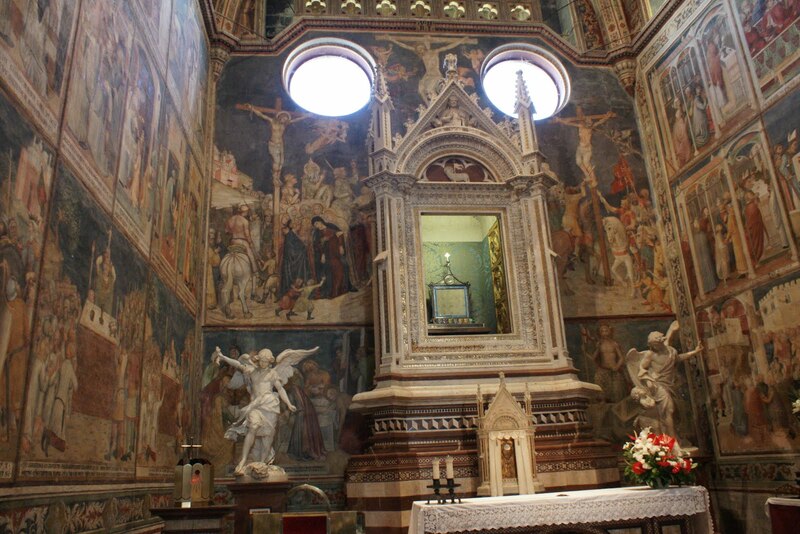 Saint Maria Maggorie – This is one of the oldest churches dedicated to Mary in the Catholic world. 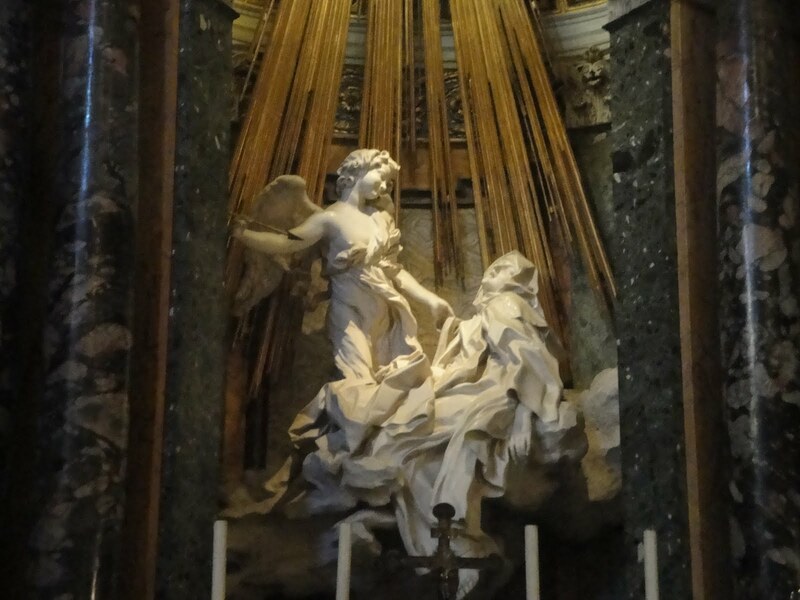 Also contains the grave of Gian Lorenzo Bernini. 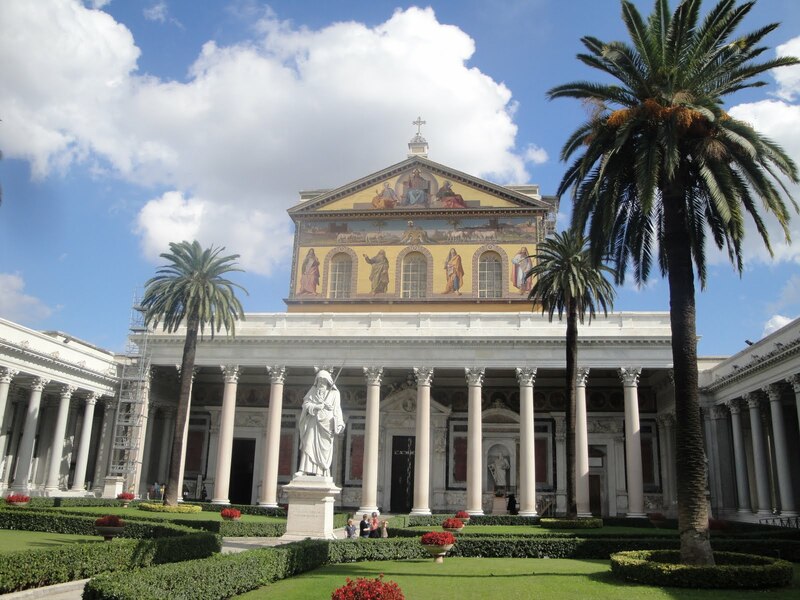 Saint Paolo fuori le Mura (Outside the Walls) – This church of St. Paul (Outside the walls) was rebuilt in the 1800’s after a fire. 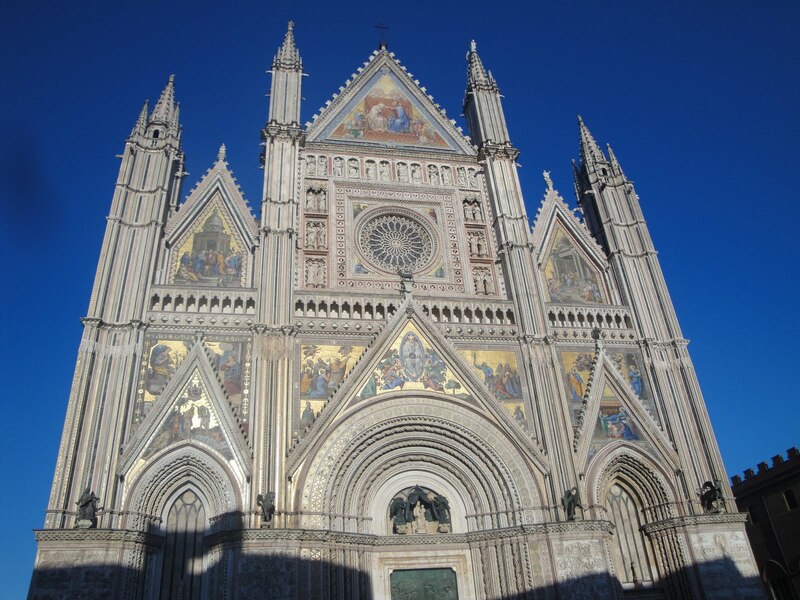 It captures the feel of the medieval churches, has an Easter Candle stand that is truly amazing and mosaics of all the popes from Peter to Pope Benedict XVI. 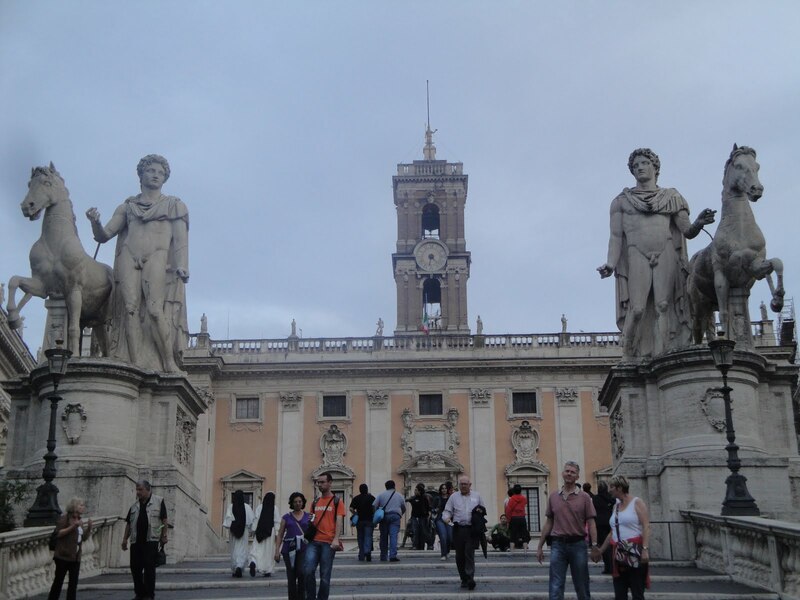 Musei Capitolini – This is a two building museum on the Capitoline Hill. 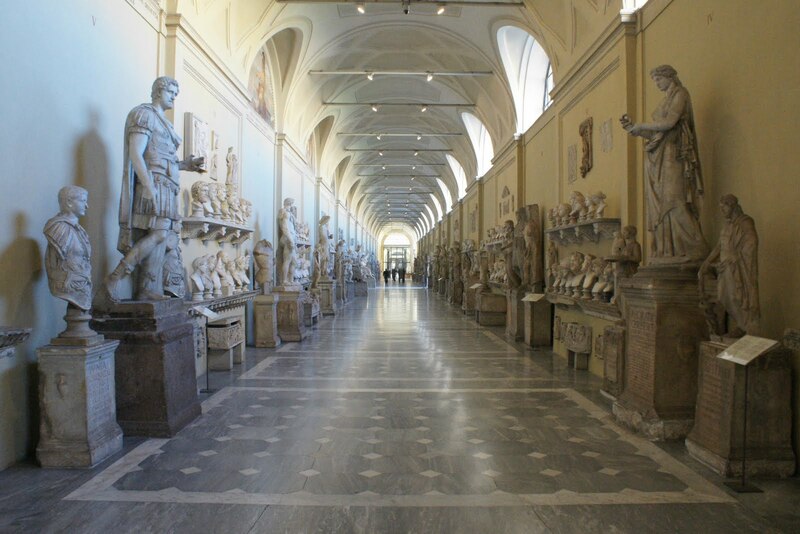 The museums are filled with Roman sculptures, some mosaics and paintings. 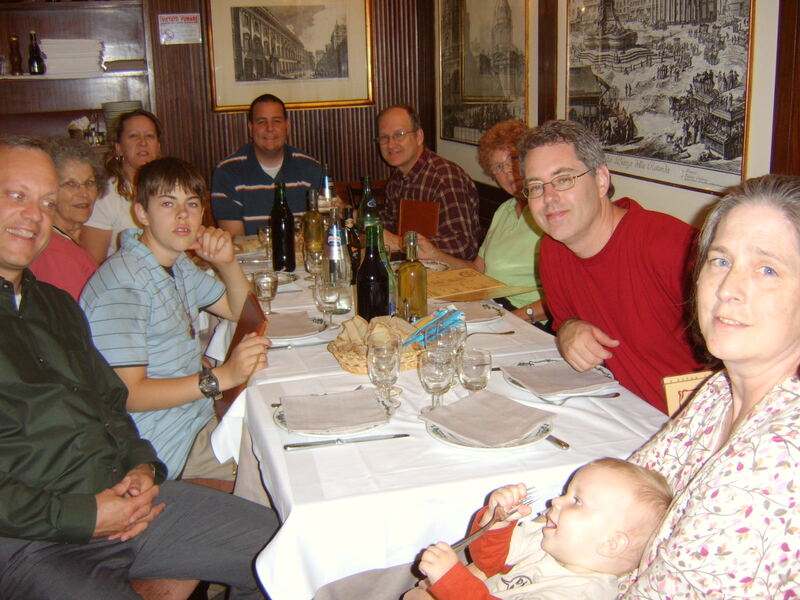 October 11, 2009 – Sunday! 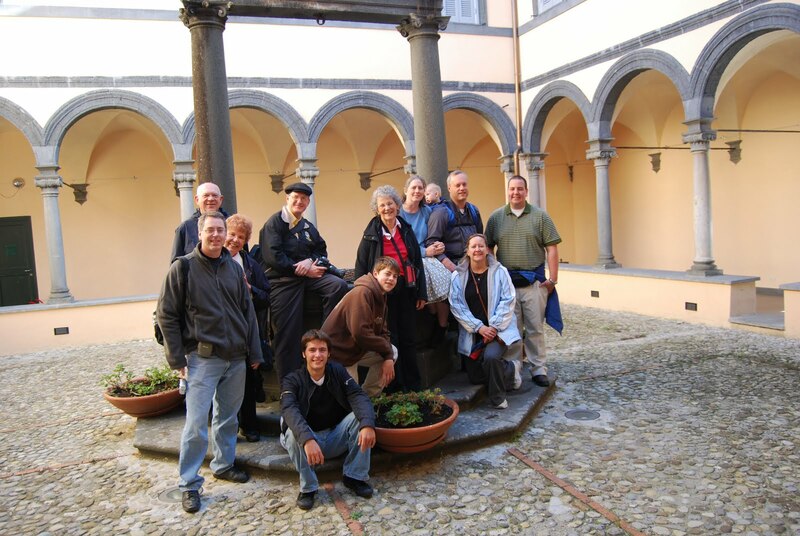 On this day we got a magnificent tour of the Pontifical North American College Seminary. 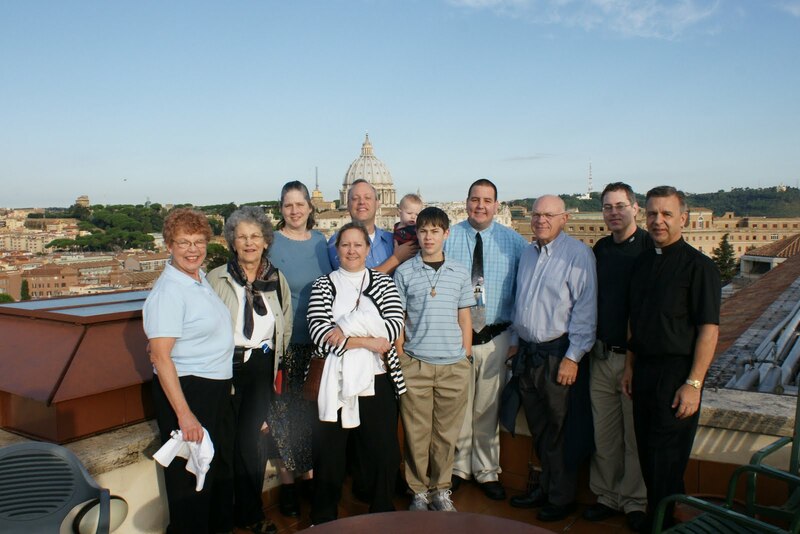 The view of Rome from the roof is second best compared to the view from atop St. Peter’s Basilica Dome. 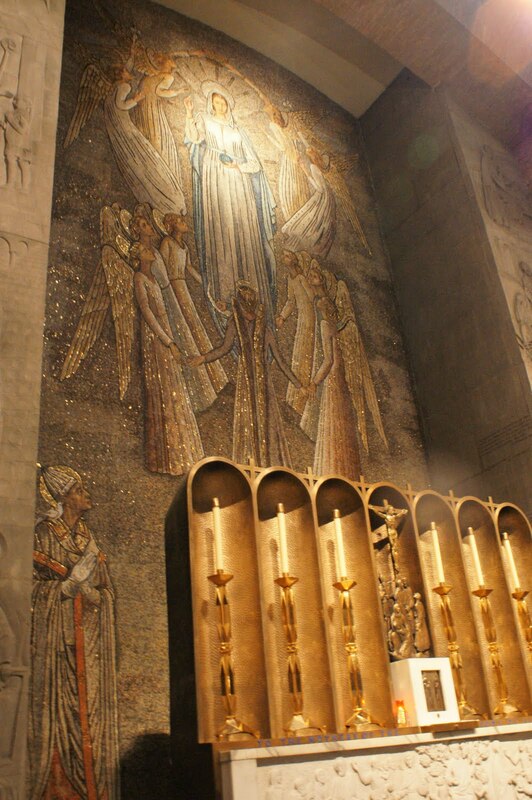 The chapel in the NAC was extremely beautiful, I loved the mosaics on the walls. 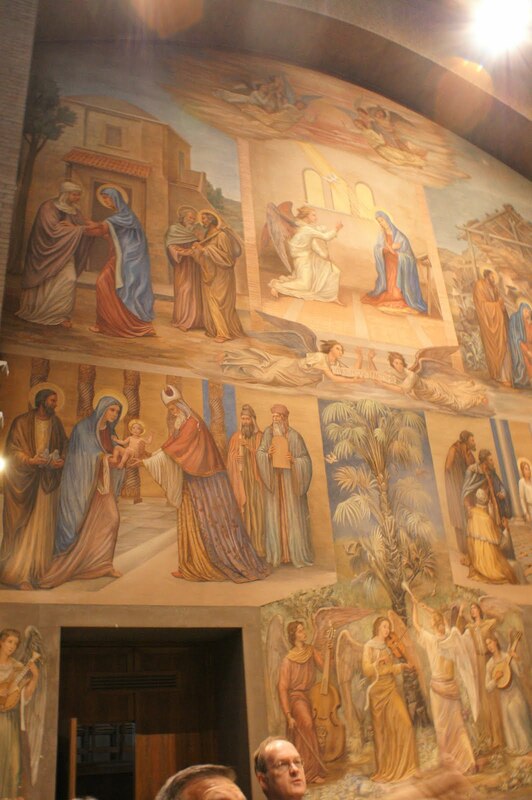 The Joyful mysteries were depicted on the left wall and Jesus’ life was depicted on the right wall (of the sanctuary). It was breathtaking! Sunday Mass was also very cool there, there were many priests con celebrating and some seminarians there as well. 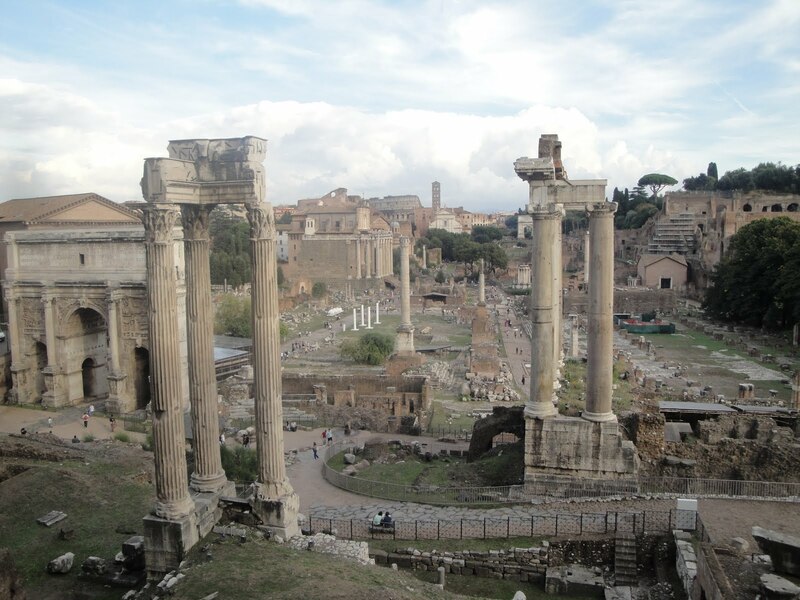 In the afternoon we toured Ancient Rome. The ruins were super cool! It’s hard to imagine some of those buildings being as magnificent as they were once. I wish that I could time travel to just see what it was like for real. 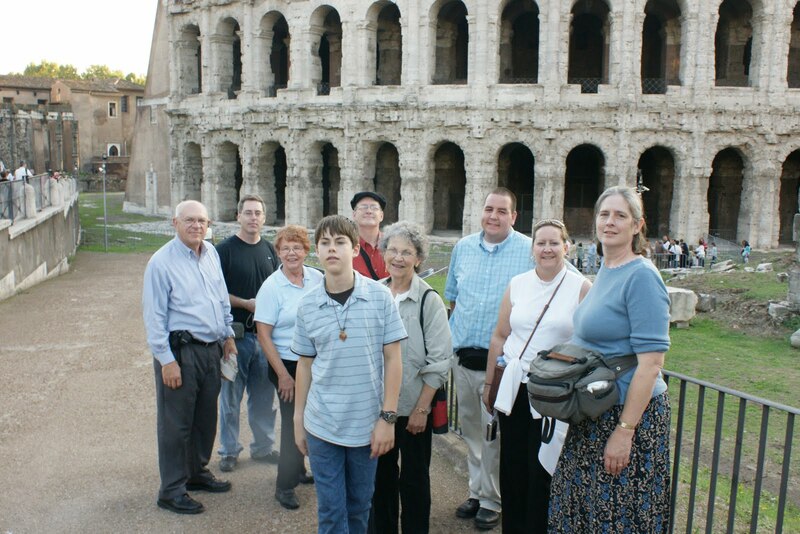 We walked through the Colosseum and also walked through the ruins of the ancient Roman Forum. I also made a new special friend on that day, Nicholas. 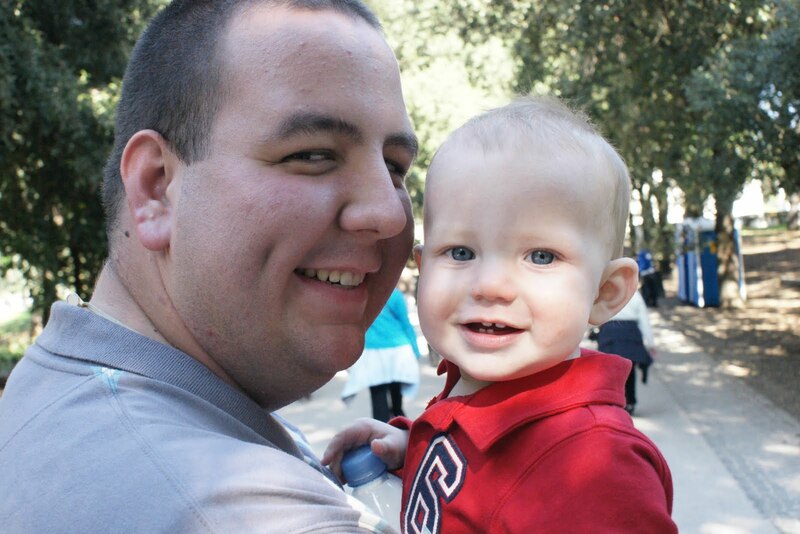 He was the 9 month old that came with his parents, Bob and Rebecca. I carried him around the ruins somewhat and it was cool showing him the world. 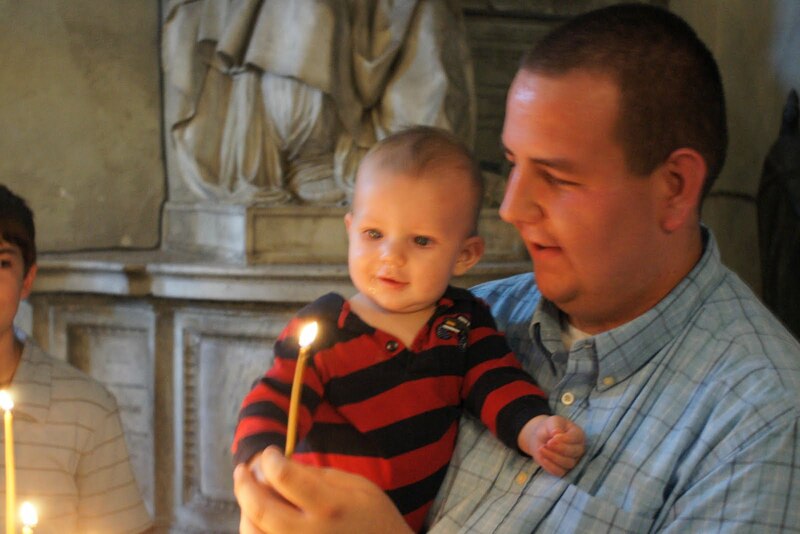 He also really liked candles so when we went into one of the churches after viewing the ruins, Nick and I lit a prayer candle for “everyone back home” so if you are reading this, Nick and I prayed for you! 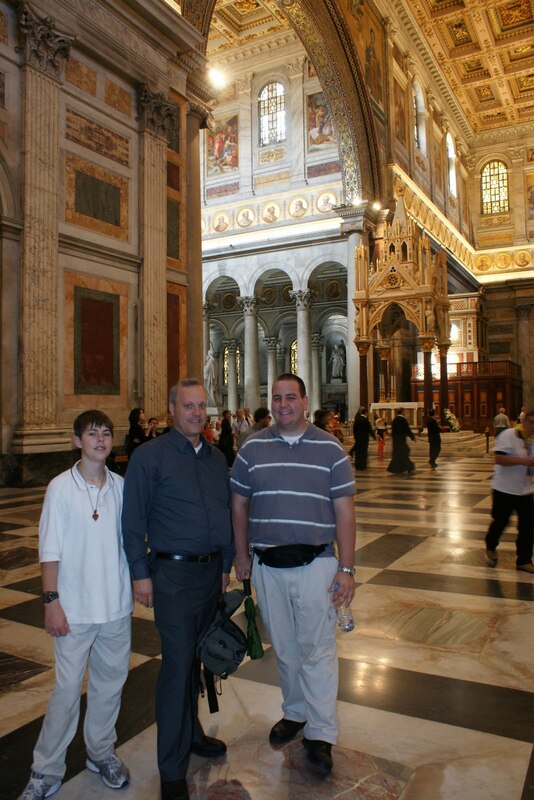 This was the day we finally got to see St. Peter’s Basilica. It is truly a spectacular place! 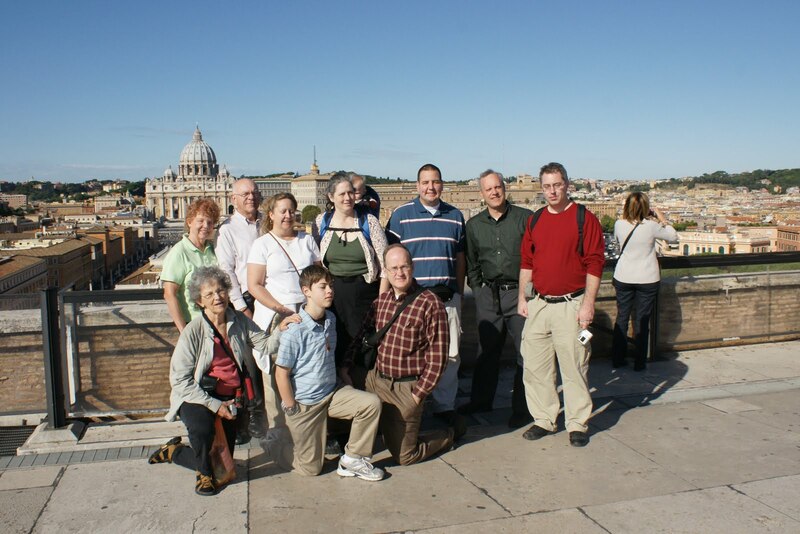 The view from the dome of St. Peter’s was incredible and the tomb of the Popes was very moving as well. 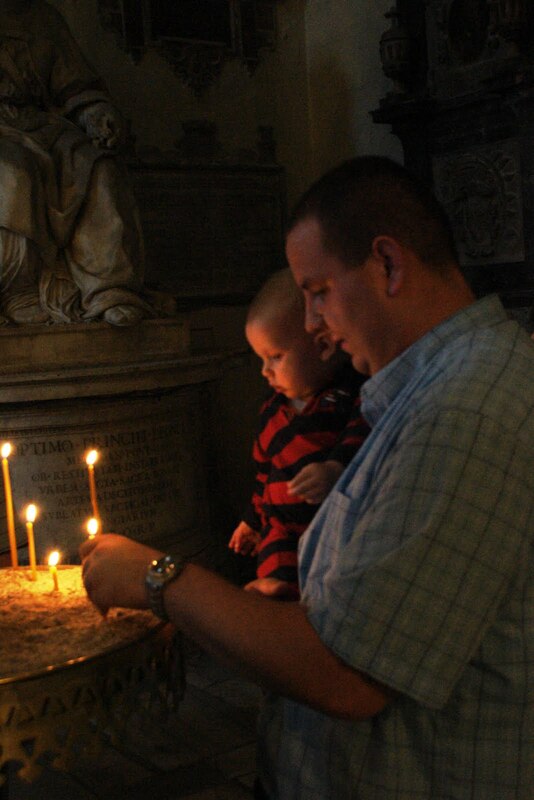 There were people at John Paul II’s grave praying. The afternoon was interesting. 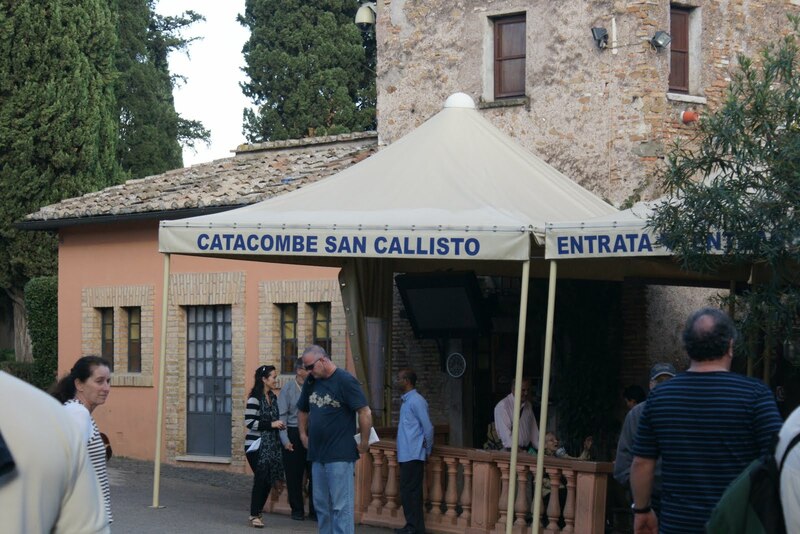 We went to see some of the catacombs and it rained on us again. I didn’t bring my umbrella this day but did bring a poncho so Bob and I ended up being “fashion models” for ponchos while everyone else scrambled for their umbrellas or bought one from the street seller for 5 euro a piece. The catacombs (underground burial chambers of the early Church) were very intriguing and I wish we could have spent more time there, but we had to stick with the tour group. I wanted to go off on my own and explore the catacombs, however I knew that I would get lost down there, it’s a huge maze it seems like, plus it probably isn’t safe to wander off. But the explorer in me still wanted to. 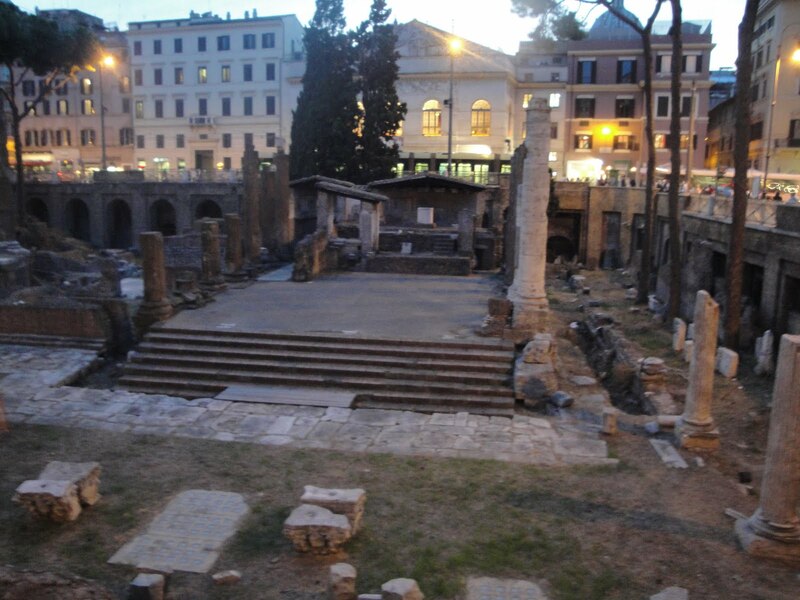 It was also interesting to learn that the first Christians would celebrate Mass down there because it was a place where they could gather without getting caught by the Romans and they tended to celebrate Mass on or near the graves of martyrs to the church. The bus ride back into the city was very crammed, but thankfully I am not that claustrophobic and we managed to get back just fine. 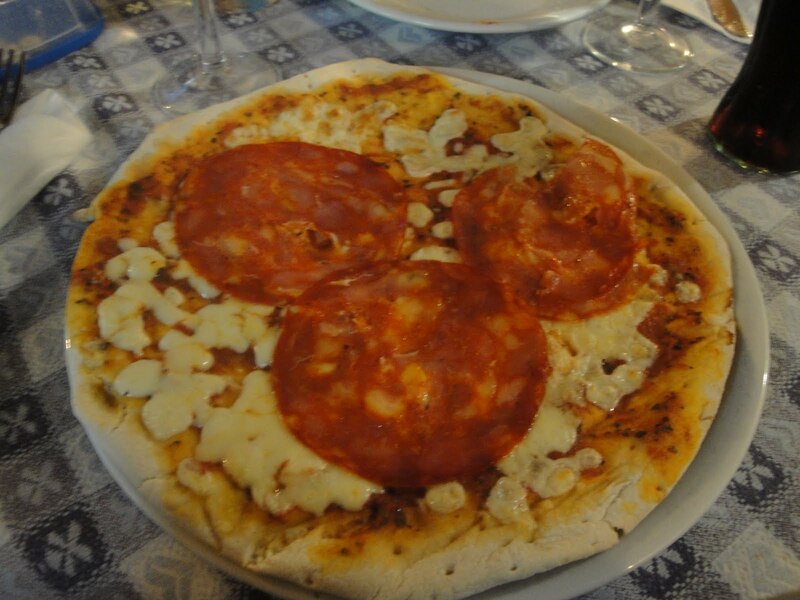 The theme for supper that night was “variety” because for antipasta we all got a mixed plate of cheeses and vegetables and then for the main course we all got a 3 pasta variety meal. 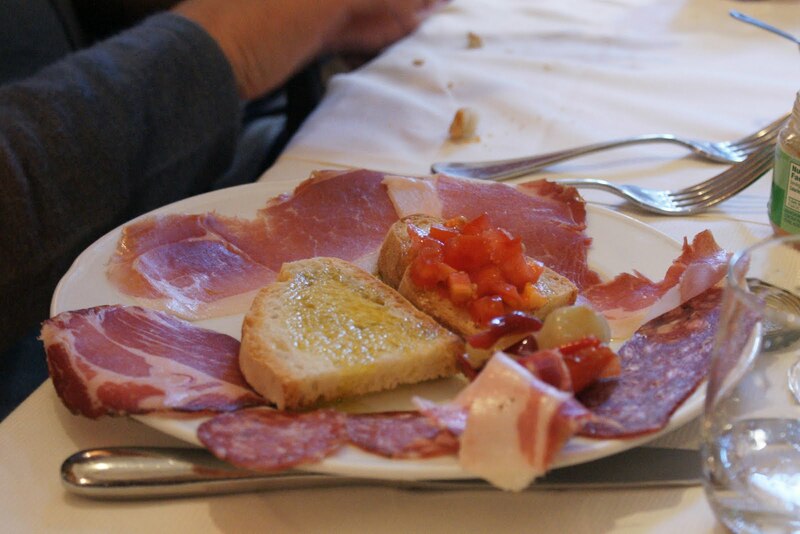 The bread also came in a variety and had the normal bread plus a good type of flat bread. I also tried both the red and white wine and both were very good. 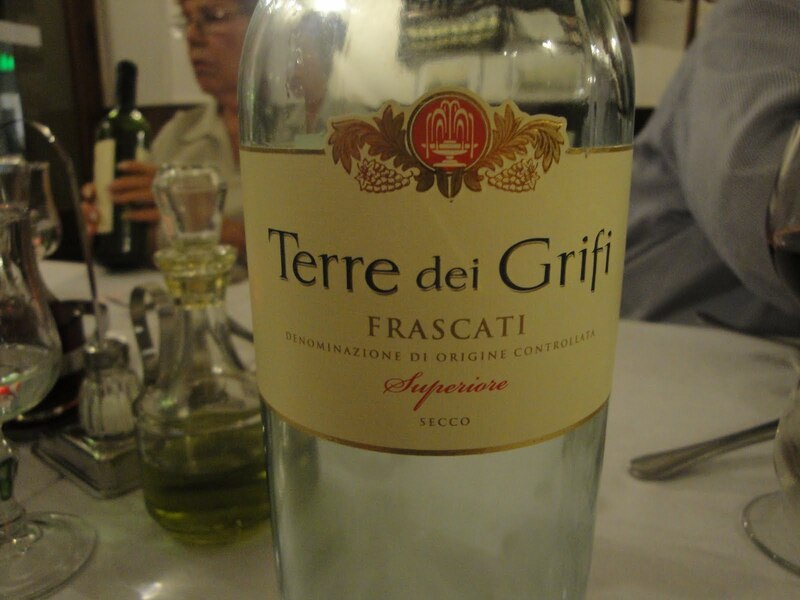 Overall I tended to like the white wine over the red wine. 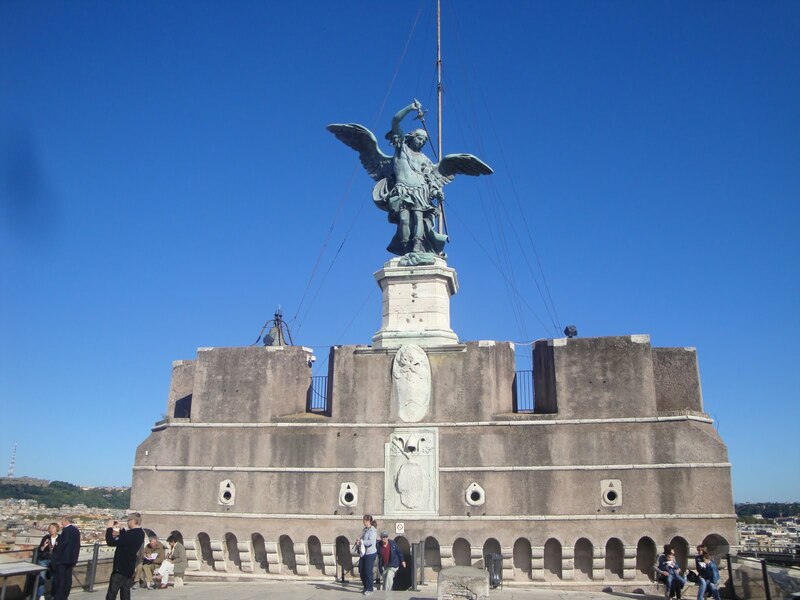 We got to tour the Castle of San Angelo on this day. That was a cool place. 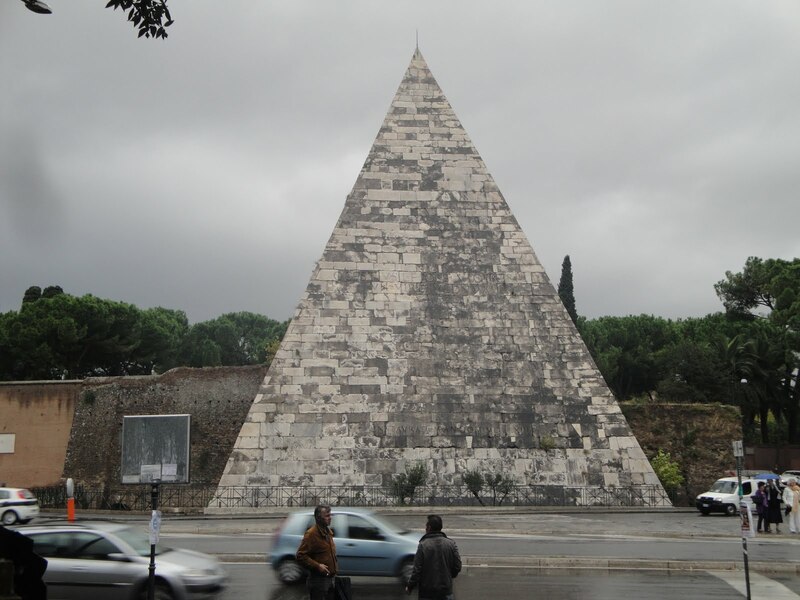 This was the mausoleum of the Emperor Hadrian. 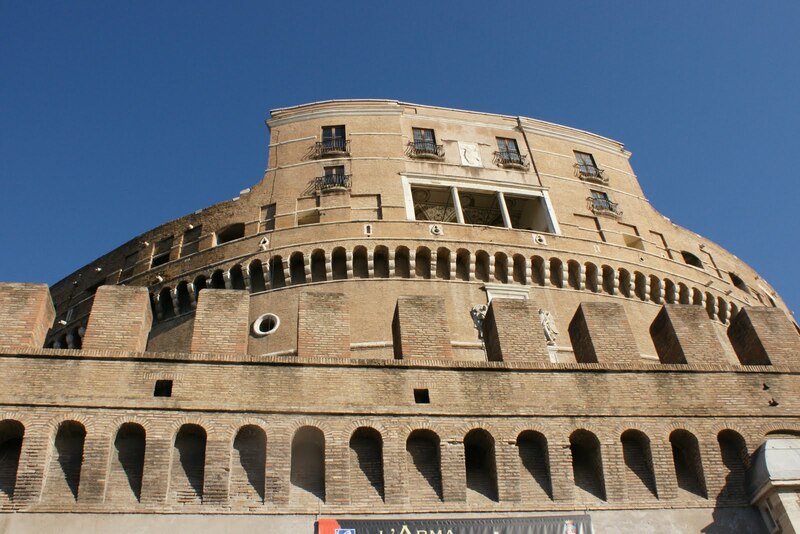 It was gradually transformed into a fortress and was used by the popes from time to time for security. There is a passageway that connects the castle to the Vatican. The Scavi tour was also on this day. 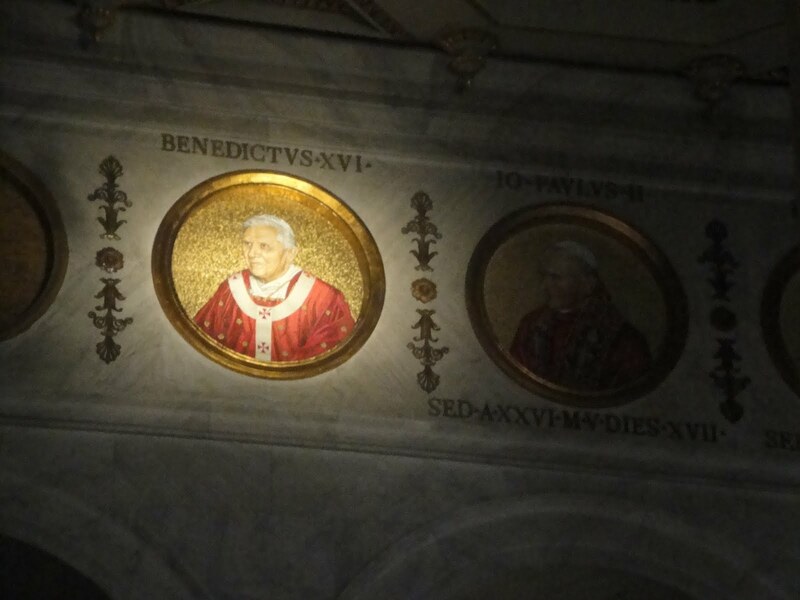 The “Scavi Tour” or “Excavation tour” was the tour underneath St. Peter’s Basilica. 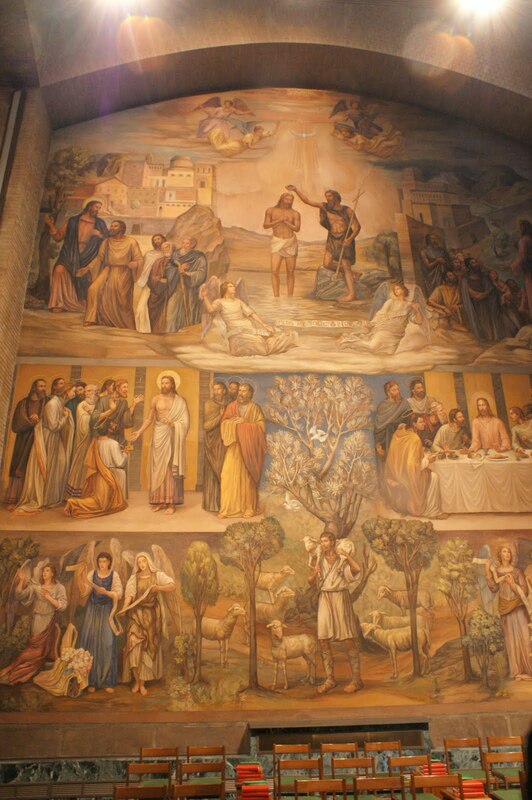 We descended into the history of the early church. We got to see the cemetery that received the body of St. Peter, the foundation of the original basilica built by the Emperor Constantine and finally the grave of Peter the Apostle. 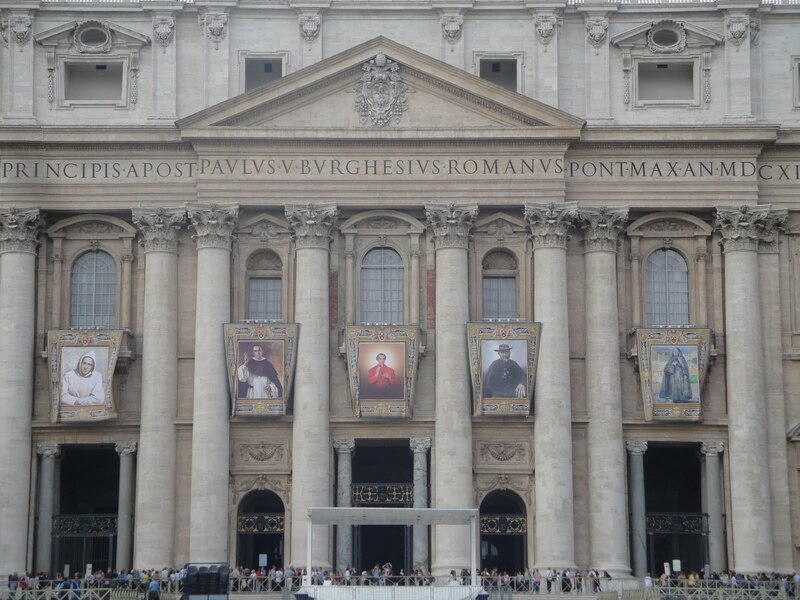 We actually got to see what the Vatican believes are the actual bones of St. Peter! I have no reason to doubt so I believe they are the bones of St. Peter. That afternoon Fr. Mike went to St. Peter’s to get our tickets for the Papal Audience so the rest of our group finished our lunch slowly and wandered back to St. Peter’s Square. I was holding Nicholas at this time and playing with him. 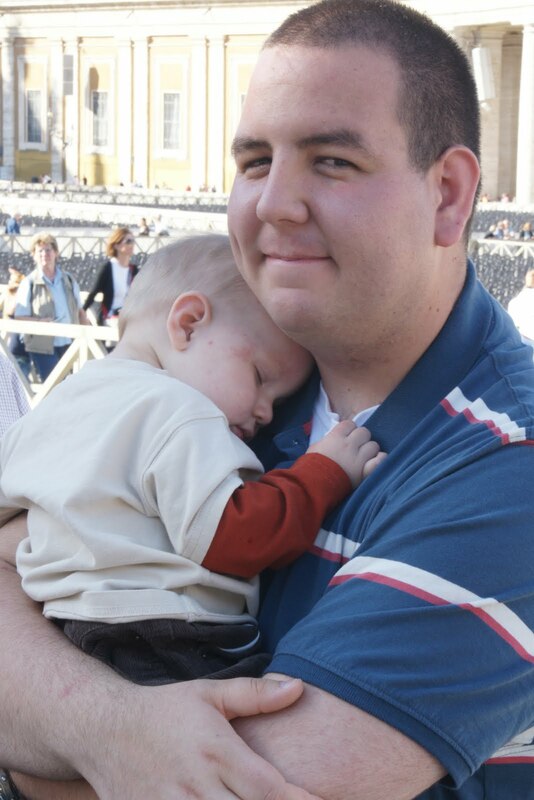 We got to St. Peter’s and Nicholas was getting tired and promptly settled into my arms and fell asleep. His presence on this trip was an absolute grace to me. He was so fun and loving and I gained so much from him. Him falling asleep in my arms was an experience I will never forget, absolutely indescribable and yet so good, so peaceful, so loving. It was truly remarkable. Then went to the church of Peter in Chains. 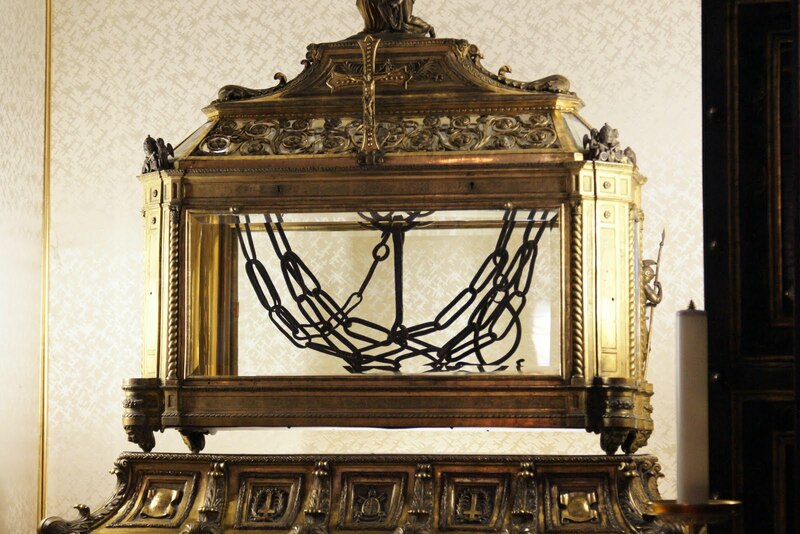 It contains the chains that supposedly held St. Peter in prison. 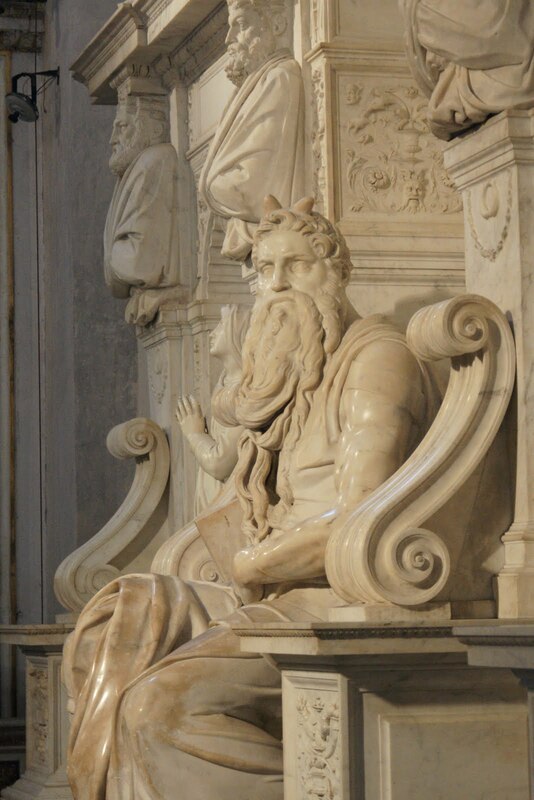 This church also has a famous statue of Moses carved by Michaelangelo. 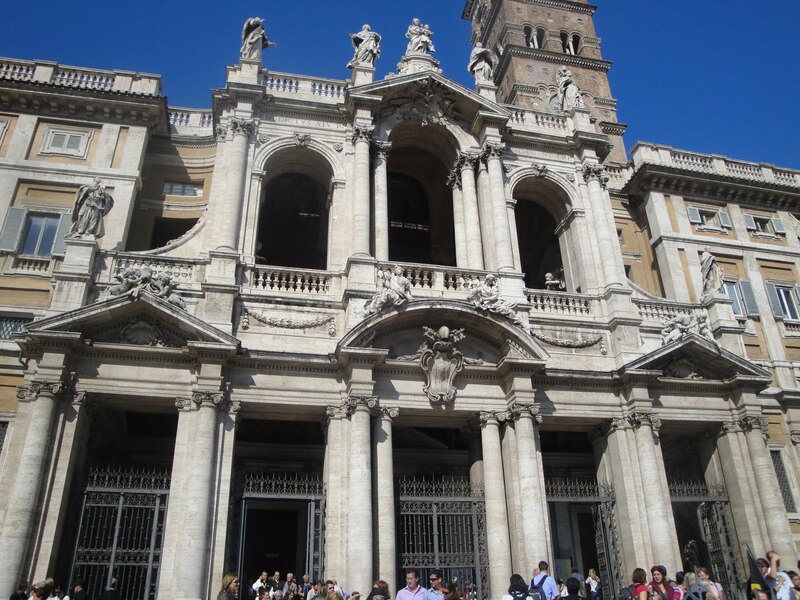 We also got to see the Baths of Diocletian and St. Maria dei Angeli that afternoon. 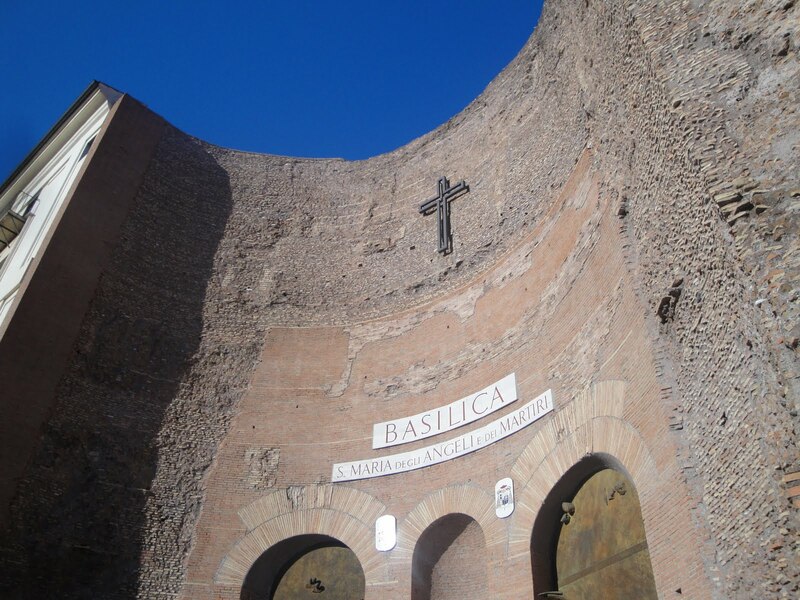 This is a church located in the ruins of the Baths of Diocletian. 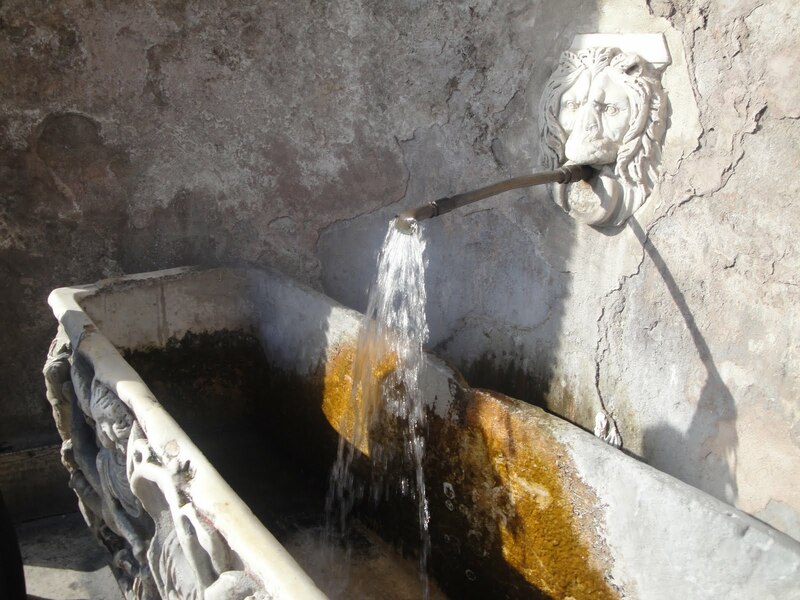 The baths (there are several ruins in Rome) were recreational facilities of huge proportion where Roman citizens came to experience hot tub and cold baths, exercise, massage and other recreations. They were also meeting paces for gossip and discussion. The Church of St. Maria dei Angeli was built into the ruins. 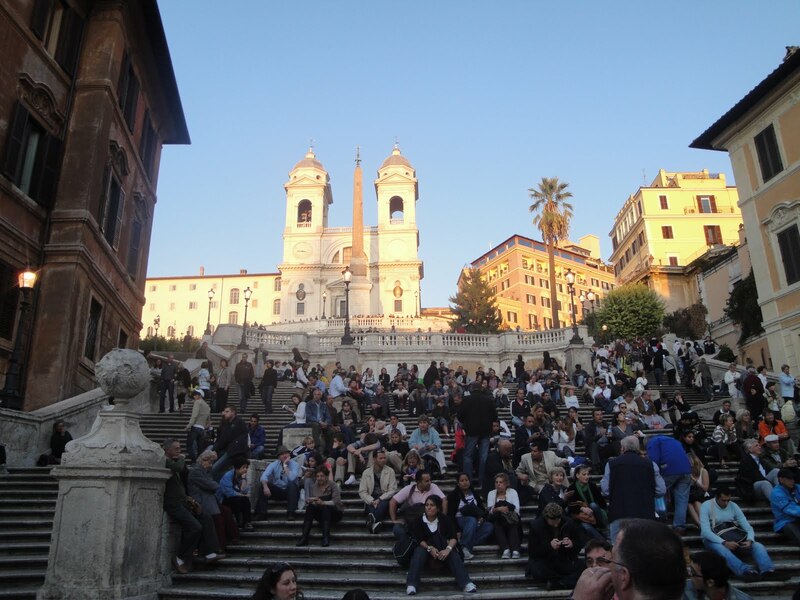 Lastly, we saw the Spanish Steps. 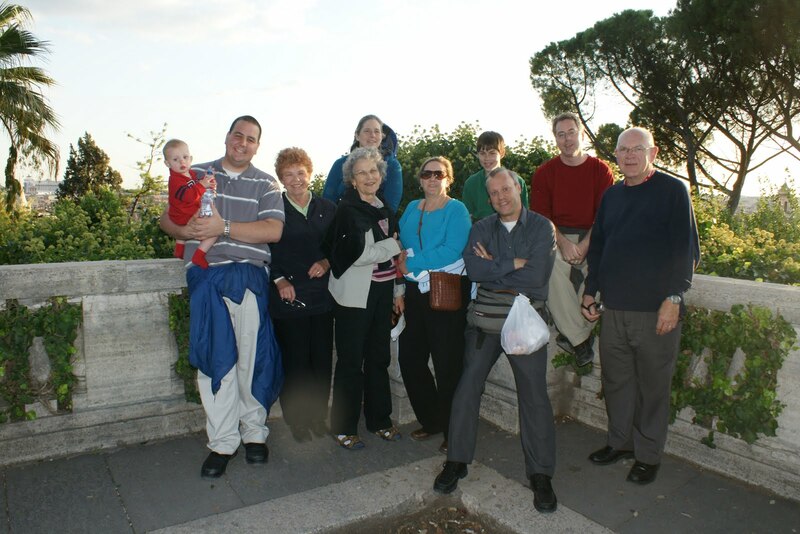 This was near the end of the day and since most of us were tired, we weren’t sure we wanted to climb the Spanish Steps. Fr. 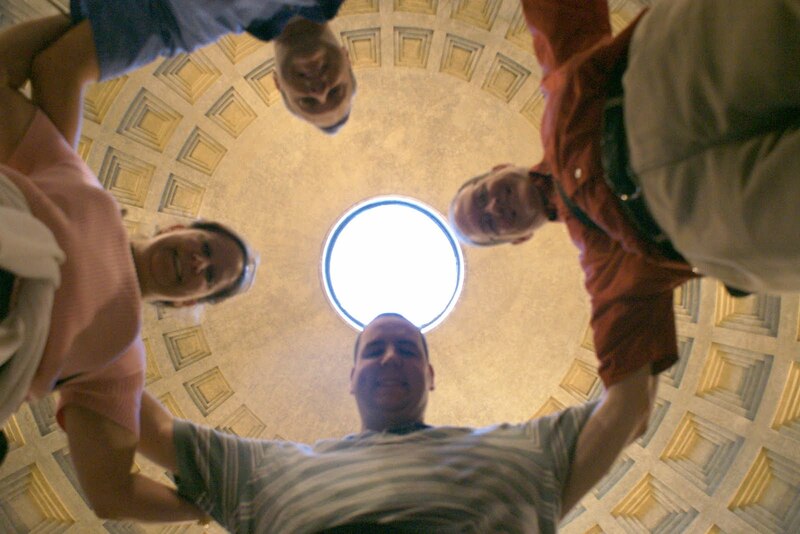 Mike pointed out an elevator to us that would take us to the top, so Bob, Robin, Gary, and I took the elevator to the top and looked around and weren’t sure where the Spanish Steps were. We finally got to top of a series of steps and immediately all commented that they were less massive than Fr. Mike implied they were. If we had known that, we may have walked up them too. 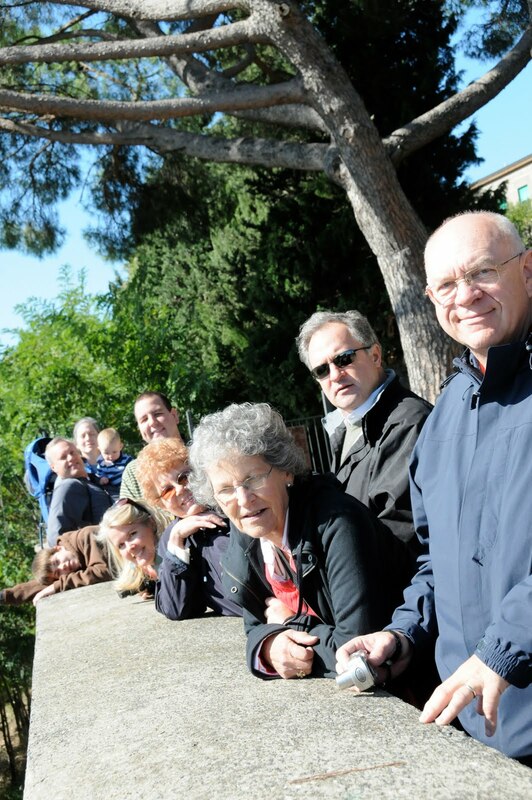 So we walked down the Spanish Steps and continued on our journey. 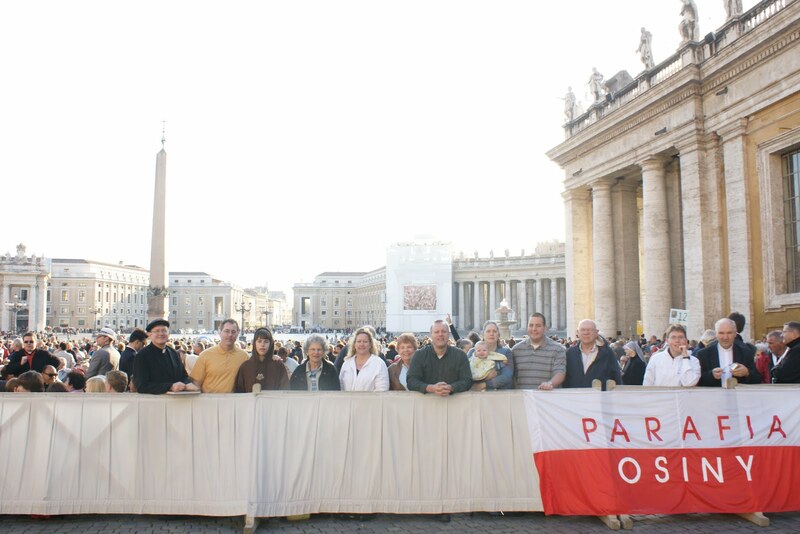 October 14, 2009 – Papal Audience! This day we got up at 5am (9pm MST) so when most people in the USA were thinking of going to bed, we were already up for the day. 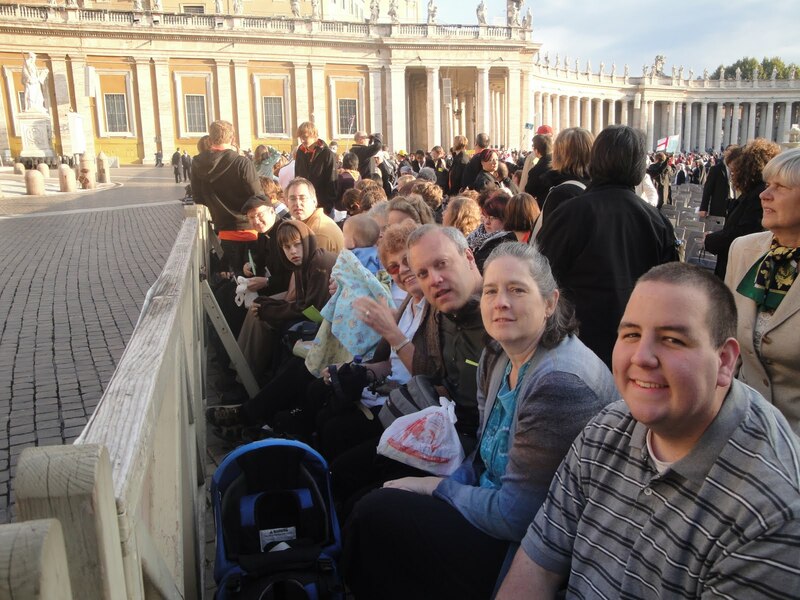 We got to St. Peter’s Square by around 6-6:30am and were the first in line for the Papal Audience. We waited in line til around 8am (the line formed up behind us quite a bit by then). Then they opened the barriers and it was like a mob trying to get through. Luckily our group managed to navigate the huge rush and flow of all the people towards the open barrier and got first in line at one of the security stations. We stood in line there for a bit and then finally they started letting people through security. We all got through security and rushed towards the seats hoping we could get some good ones. Luck was with us and we managed to get front row seats! 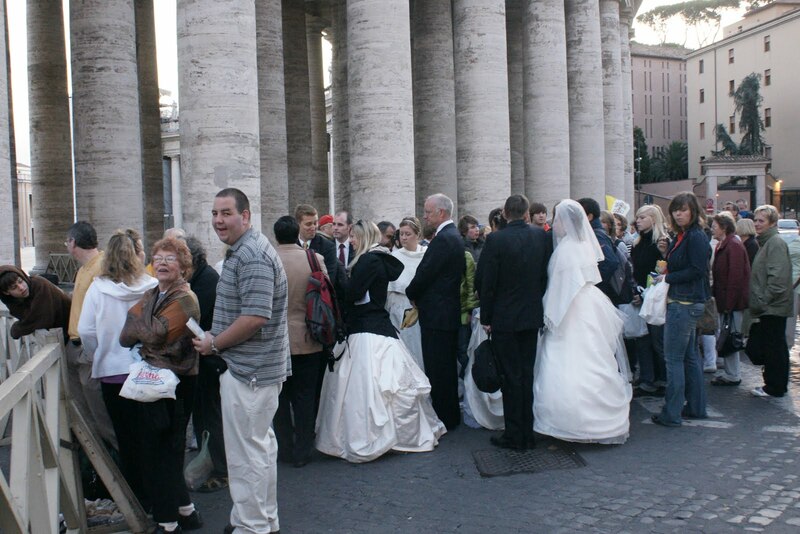 We then waited another hour and half for the Papal Audience which started at 10am. 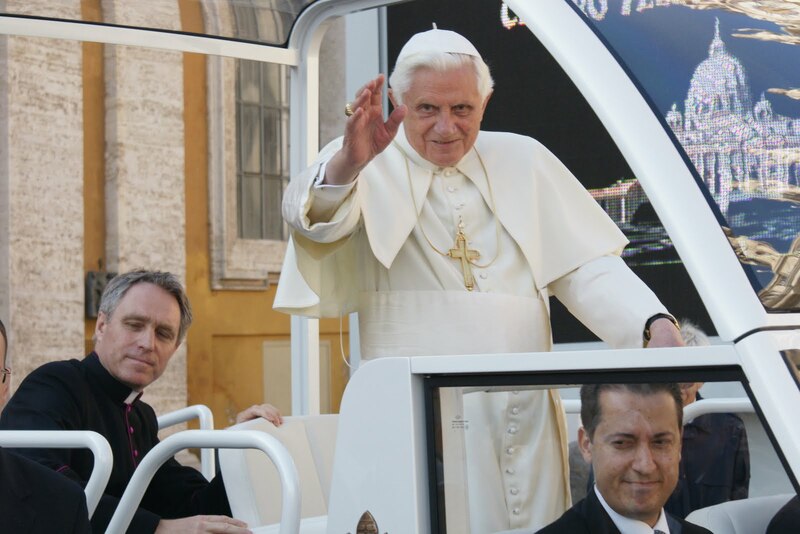 Since we were front row we had an amazing view of the Pope as he came by on his Pope-mobile! Within 15 feet!!! He rode around and went through all of St. Peter’s Square where everyone was. 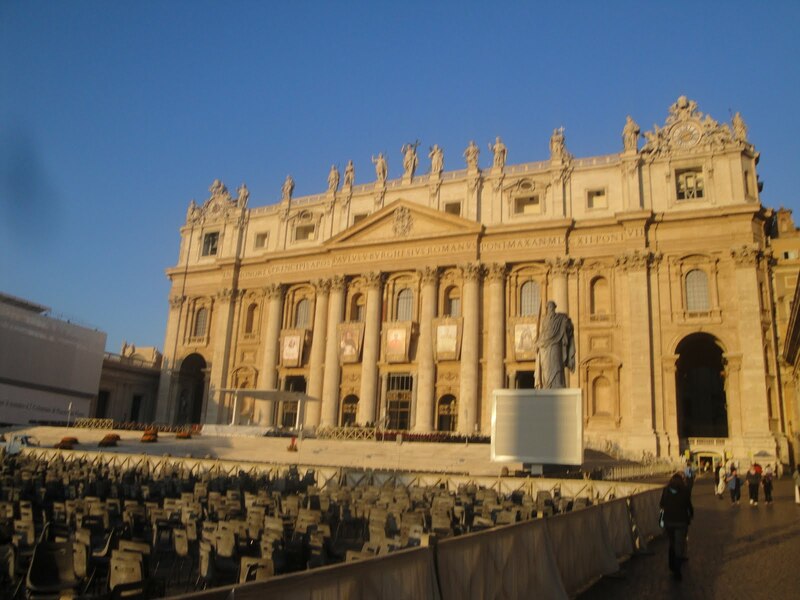 He then got up to the front and sat down on his chair up on the platform in front of the entrance to St. Peter’s Basilica. The Papal Audience continued with an introduction to all the groups that came to honor the Pope. “Cathedral of Our Lady of Perpetual Help in Rapid City, South Dakota” was mentioned during the English speaking portion and our group stood and cheered for that. That was pretty cool hearing our group mentioned. The Pope then said his message to all of us and spoke his message in 7 different languages. Very cool! 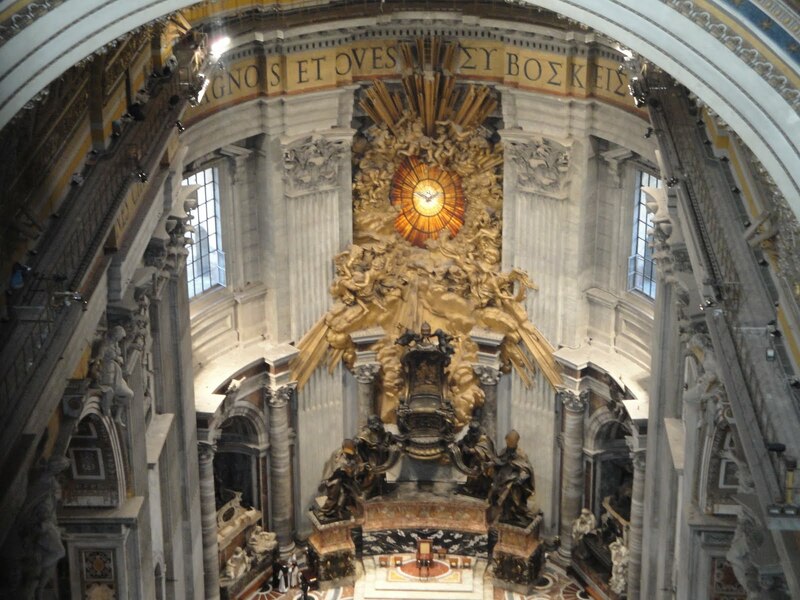 We then finished by saying the “Our Father” in latin in together as a huge group and then the Pope gave his blessing to all of our religious artifacts and extended his blessing to our families back home. 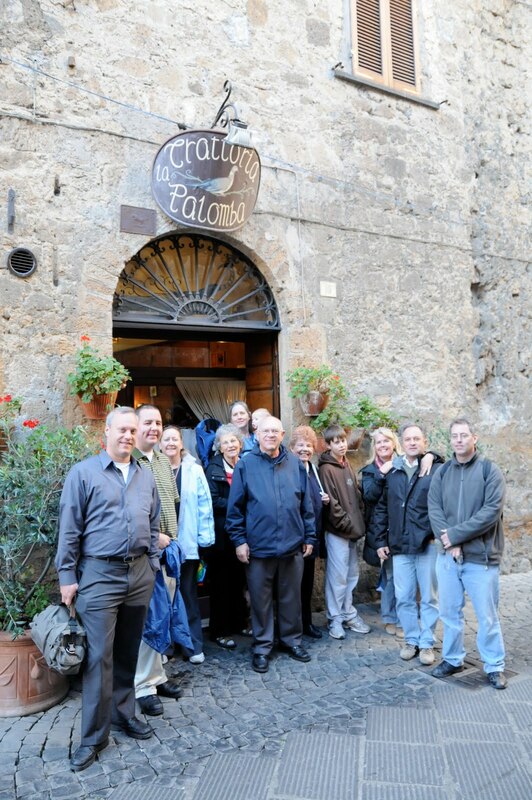 After the Papal Audience we found a place for lunch and then had a little free time. 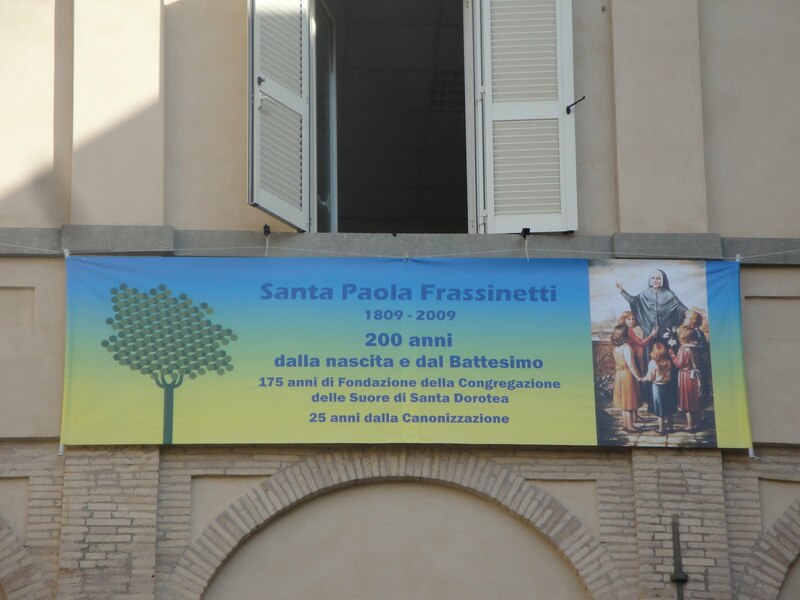 One of the nuns at the Convent gave us a brief history of the Convent and we learned about their founder, St. Paula Frassinetti. 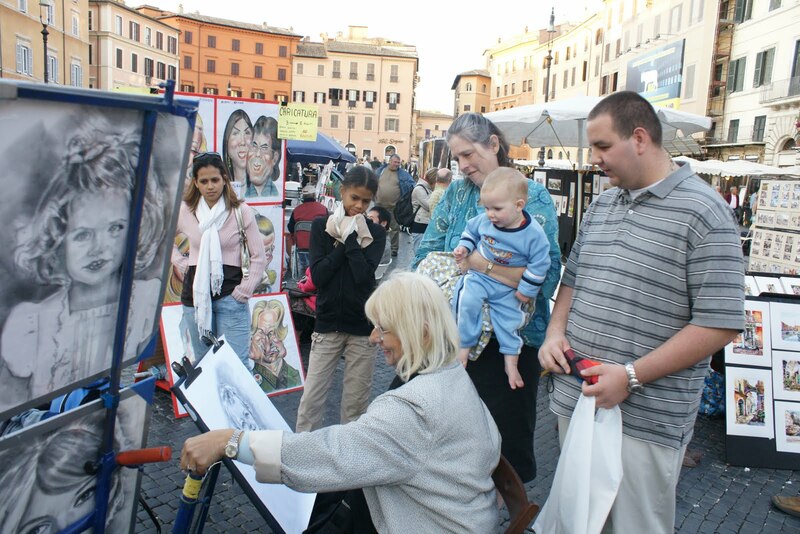 Then wandered back to the Piazza Navona and wandered amidst the many vendors looking at water color paintings of Rome and just enjoying the area. This day was very nice. 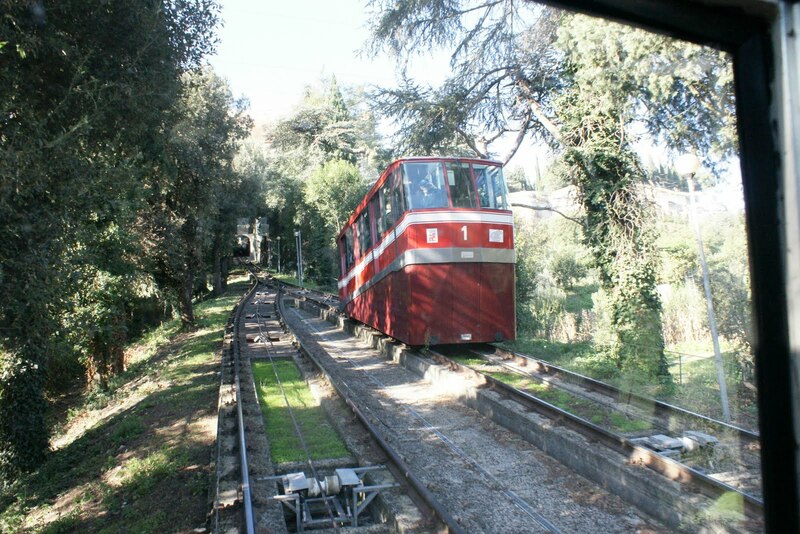 We got into a train and rode it for about an hour to a small mountain city called Orvieto. It was a very much relaxed day. We met up with some of Fr. Mike’s friends from there and they gave us a tour around the city. 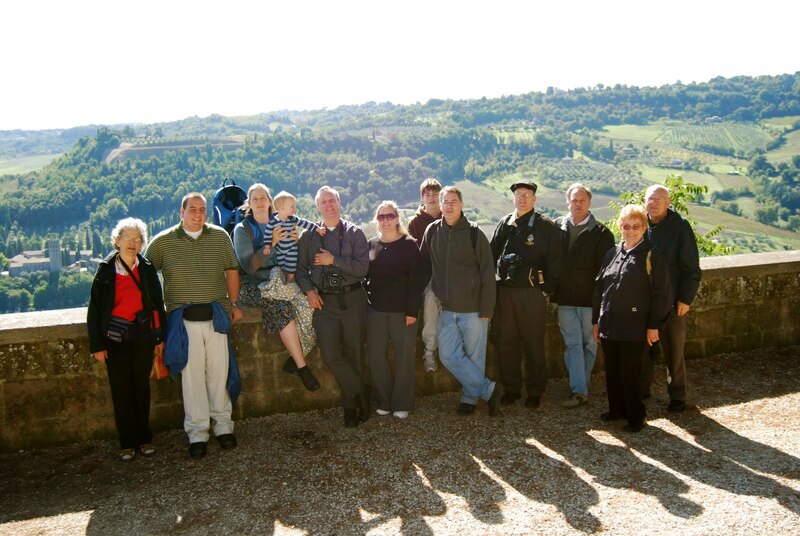 Orvieto is located on a mountain so the view from up there was absolutely amazing!! It was fun to just wander. 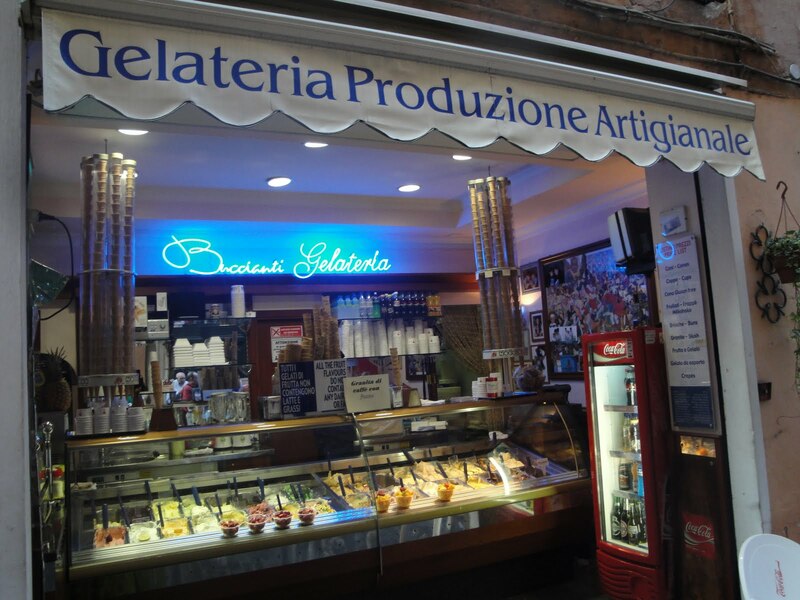 This city was always what I thought of when I thought of Italy – small cobblestone streets lined with shops, quaint alleys, clean streets, crisp air, and a relaxed pace. 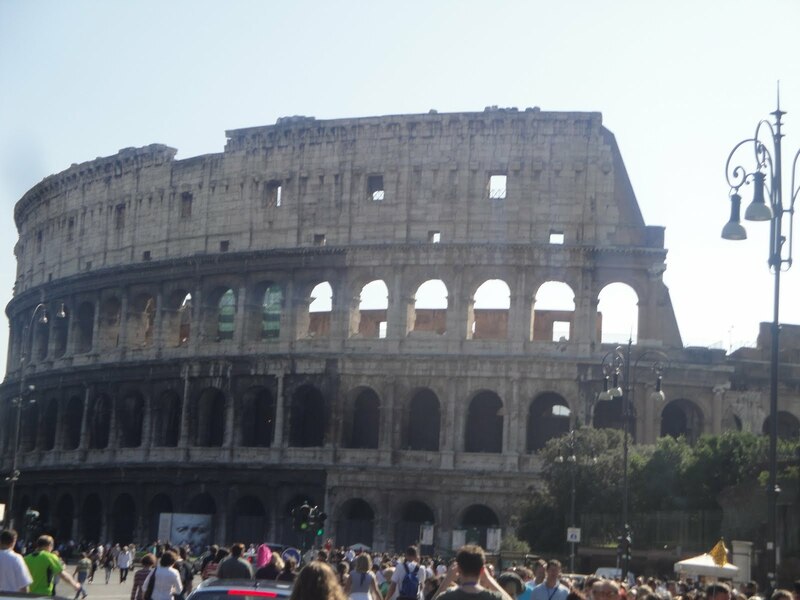 Rome is awesome, but much much busier. A very nice day! 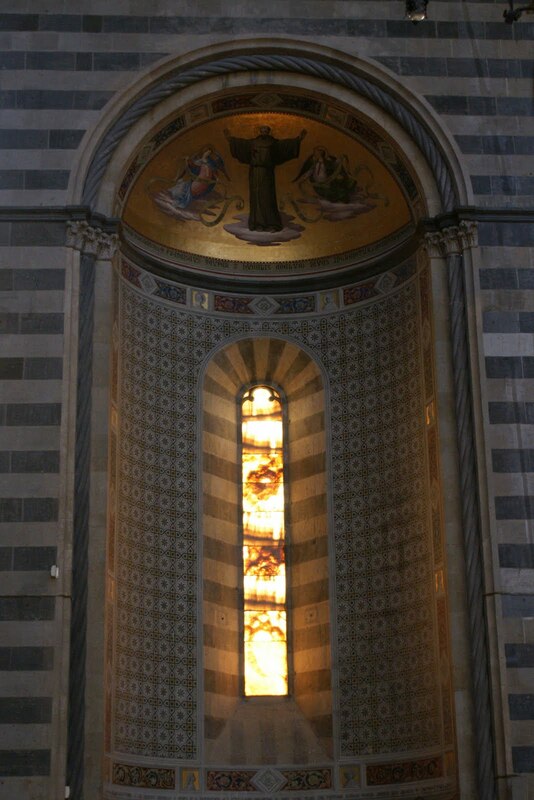 The Cathedral was beautiful and when the sun set, the rays from the sun would hit the Cathedral and just make the front shine. Inside the Cathedral housed a corporal that was bled on by the most precious body in the Eucharist. The priest celebrating Mass when this happened did not believe in the true presence and when he broke the bread, the host bled on the corporal. 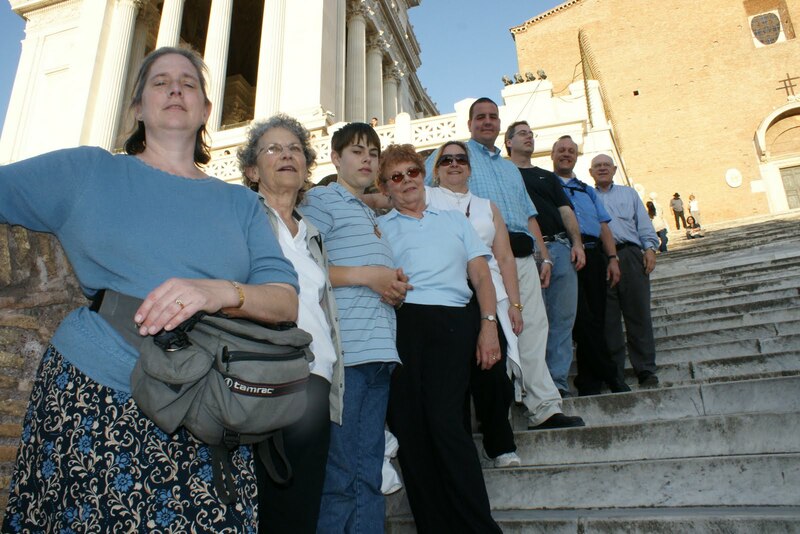 This day we went to the Vatican Museum in the morning up to and including the Sistine Chapel. That was stunning. So much art and history, absolutely amazing. So much to see, so very little time. I carried Nicholas in his backpack for the last part of the museum and up til lunch. 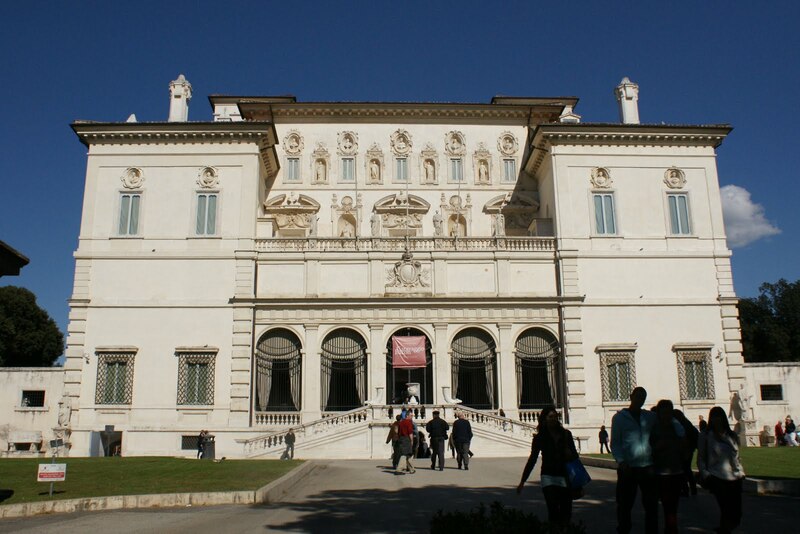 After lunch we headed to the Borghese Museum. That museum was great! It has a huge collection of artwork and sculptures. 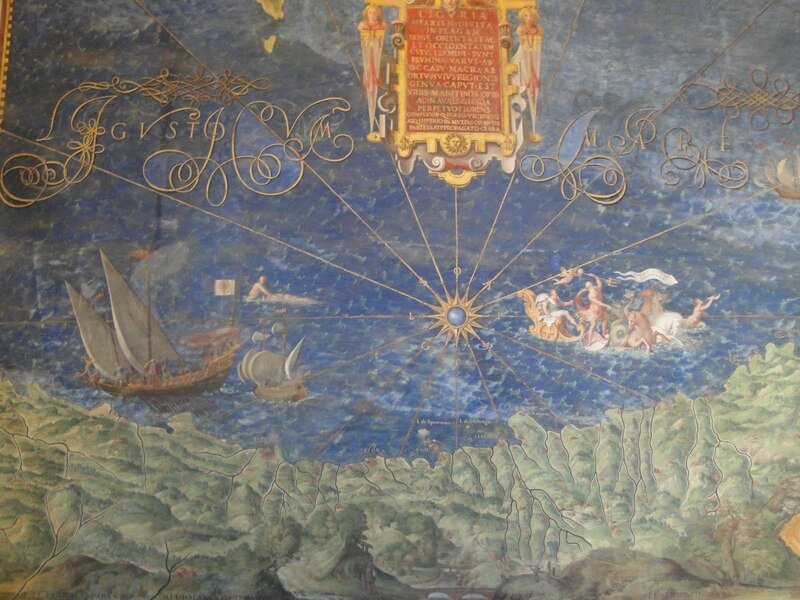 This impressive collection is housed in the Borghese Family’s little summer residence in the middle of their expansive villa which is today a park for the Roman people. After using audio guides through the museum we walked through the park at a “wandering” pace and walked down to the Piazza del Populo. That evening after supper Fr. 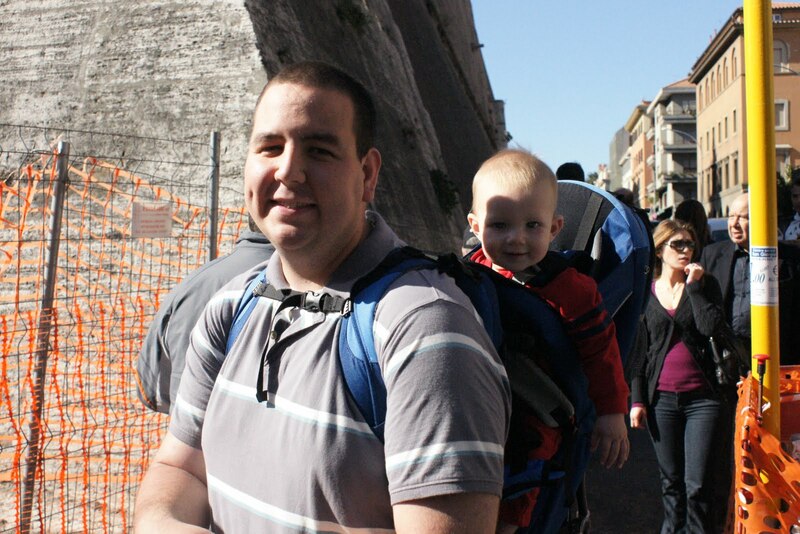 Mike took Bob and I to the Piazza Venezia and showed us how to get to the ruins and then back to the convent. We wanted to see the ruins at night. 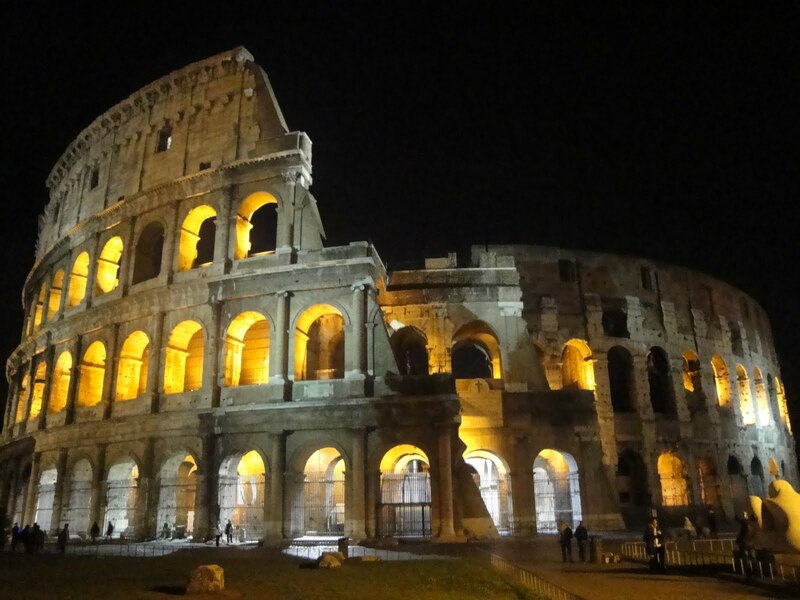 We walked the length of the ruins and got to see the Colosseum at night. Very beautiful how they have it all lit up! 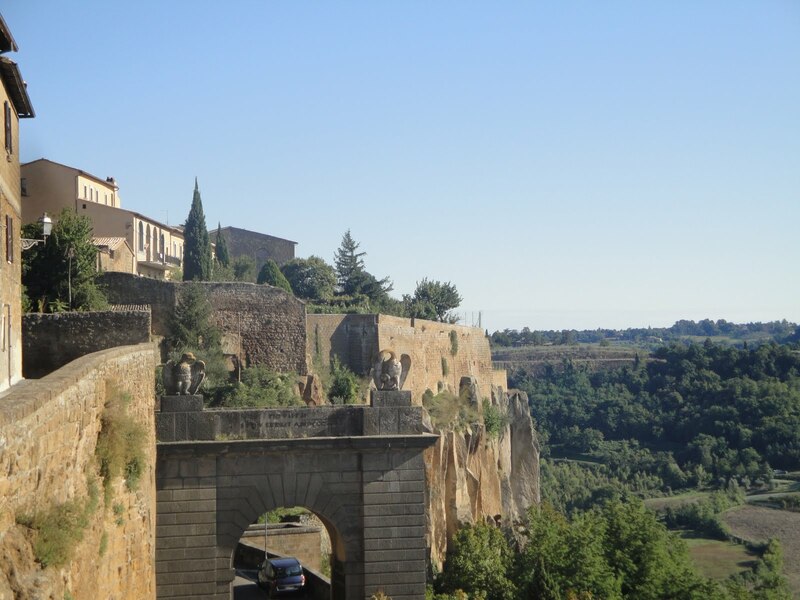 We then walked around some more and walked the length of the ruins again and up the Capitoline hill and Bob got some good pictures of the ruins. This day was our free day. 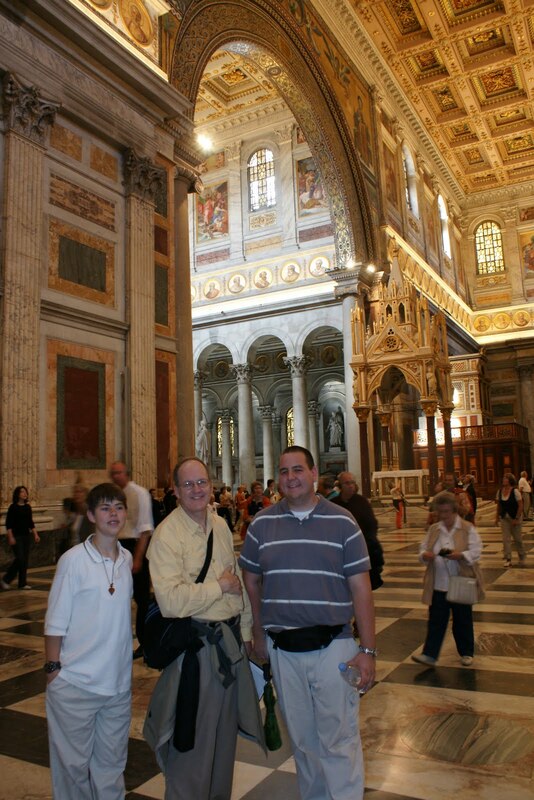 I went with a small group back to St. Peter’s Basilica and I went through security to go back into the Basilica itself. Went to the Adoration of the Blessed Sacrament chapel and prayed for a little bit. 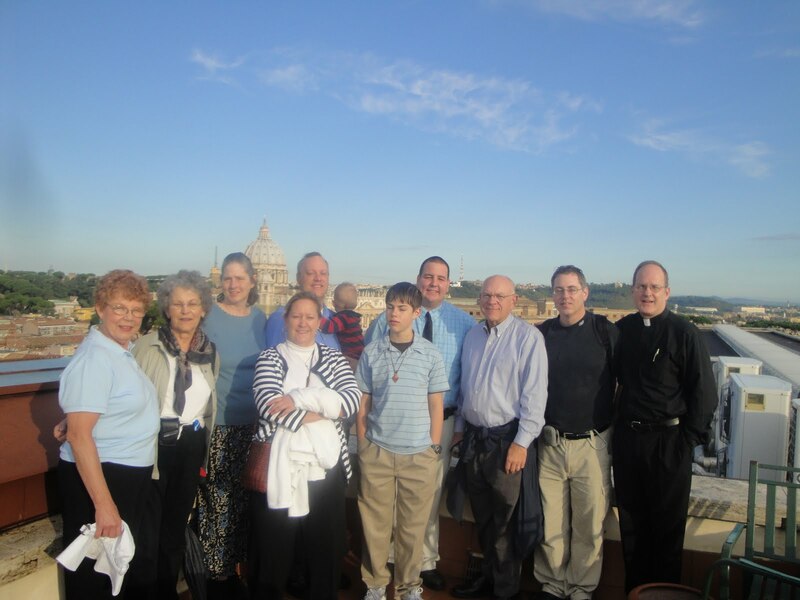 I headed back out to St. Peter’s Square and caught up with my group. 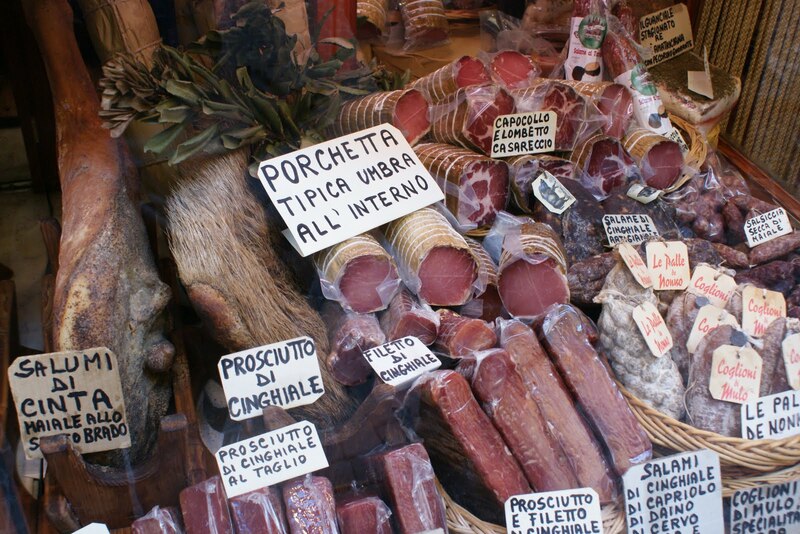 We wandered around the vicinity of St. Peter’s and did some tourist shopping, bought some souvenirs. I bought a scarf that I thought just had the Rome symbol on it, but later came to realize it was the University of Rome’s symbol and colors and I had a few Italians make comments on it — teasing me because they liked the rivals and didn’t like my scarf. The afternoon consisted of us taking up the challenge of getting onto the buses by ourselves and seeing the city. We took a bus to out beyond the Pantheon and wandered back by the Trevi Fountain and back to the Pantheon. There were quite a number of street sellers out that day and it was interesting to look at their merchandise. Wandered some more and then caught another bus back to the convent. Fr. 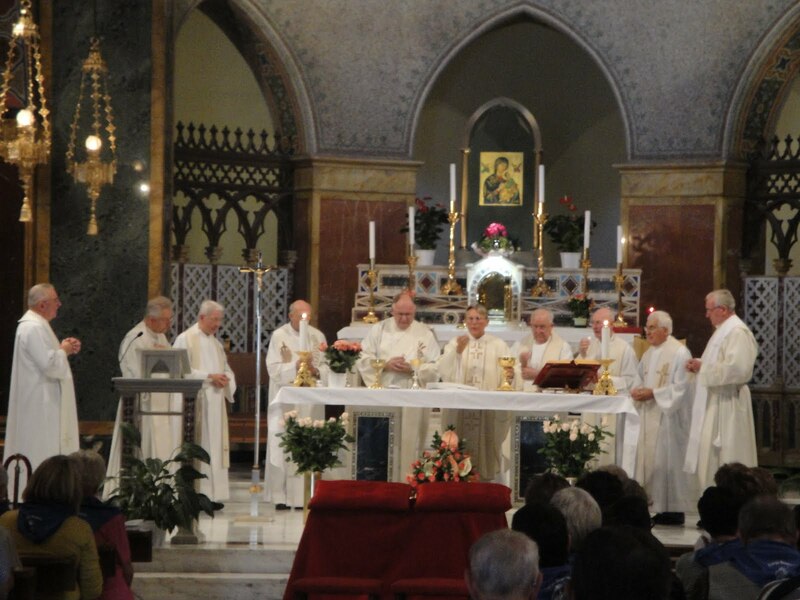 Mike celebrated Mass for us that evening at the convent (I altar served). It was a nice small comfortable group for Mass, I really enjoyed it. Now this day I can honestly say is the longest day I have ever had. A whopping 32 hours!! Also a long day of travel. Going through customs was a new experience, didn’t have any problems thankfully! Overall on the plane trips I watched the new Star Trek movie 2.5 times or so, plus a couple other movies. I also played games on those little computer displays and watched the current position of the plane in relation to the world. The trip back was uneventful which is always a good thing, luggage arrived just fine. We flew out of Rome mid-morning Rome time and flew into Rapid City around 11pm MST. The drivers are scary!! 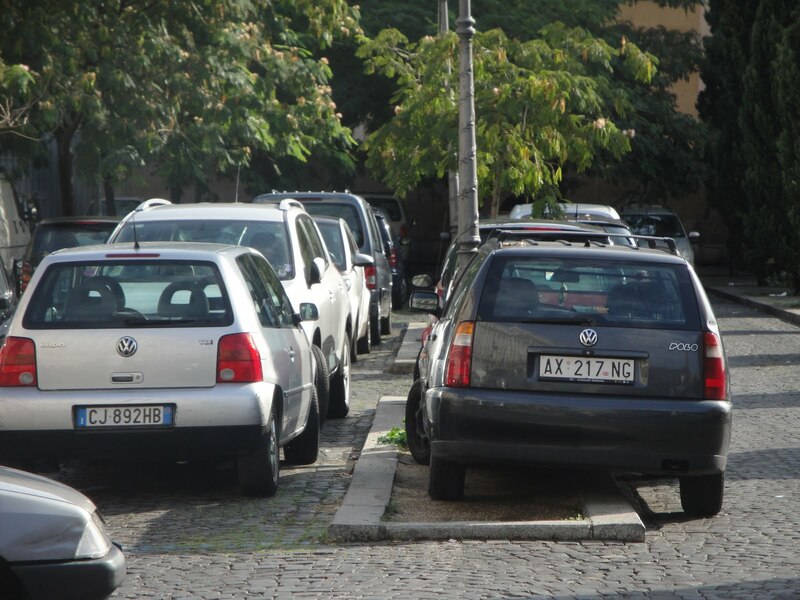 With much less rules they drive all over the place. Motorcycles weave in and out of lanes (and between lanes up to an including sidewalks) just to get through and ahead of traffic. 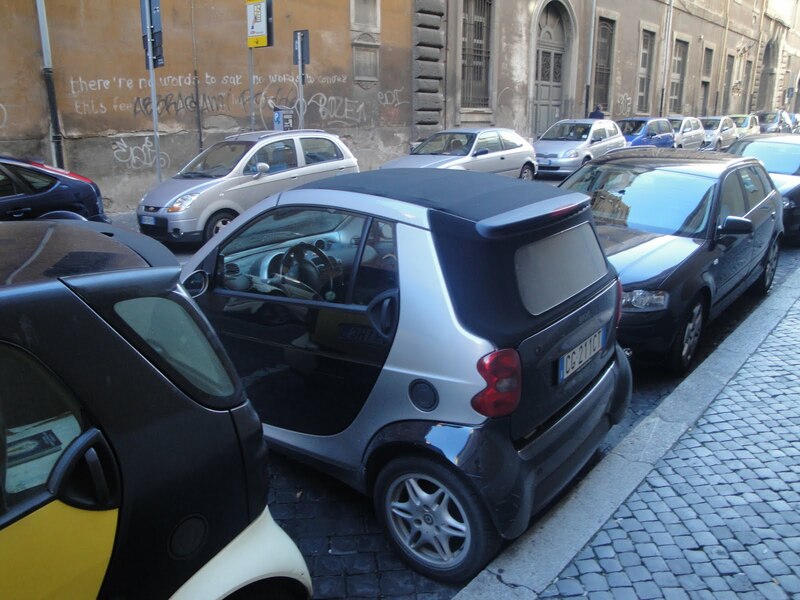 The cars are super small and they park them absolutely crazily – anywhere they can fit, they park. Water is very much abundant. 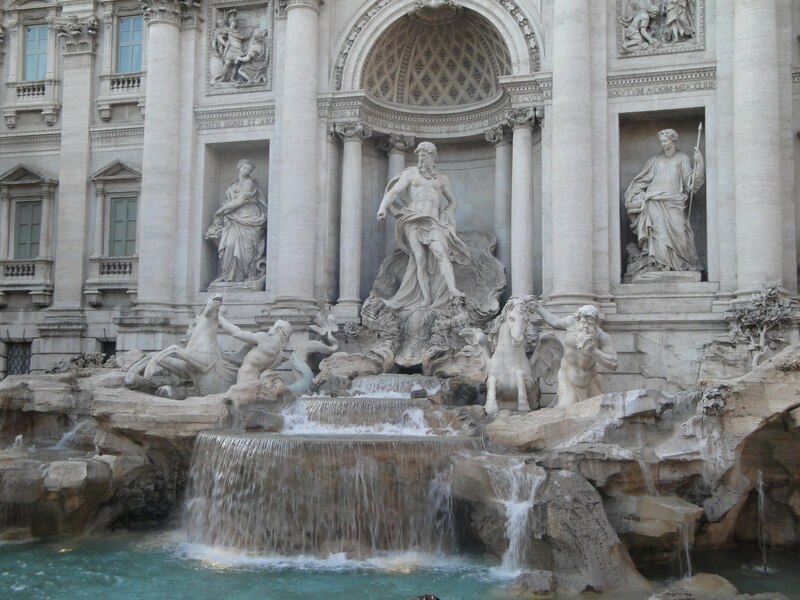 In being in a dry area here in Wyoming/South Dakota I found it amazing that Rome had many public water fountains that were just running constantly that you could drink from and the water was good water too! No worries about whose lawn can be watered on what days, that’s for sure. 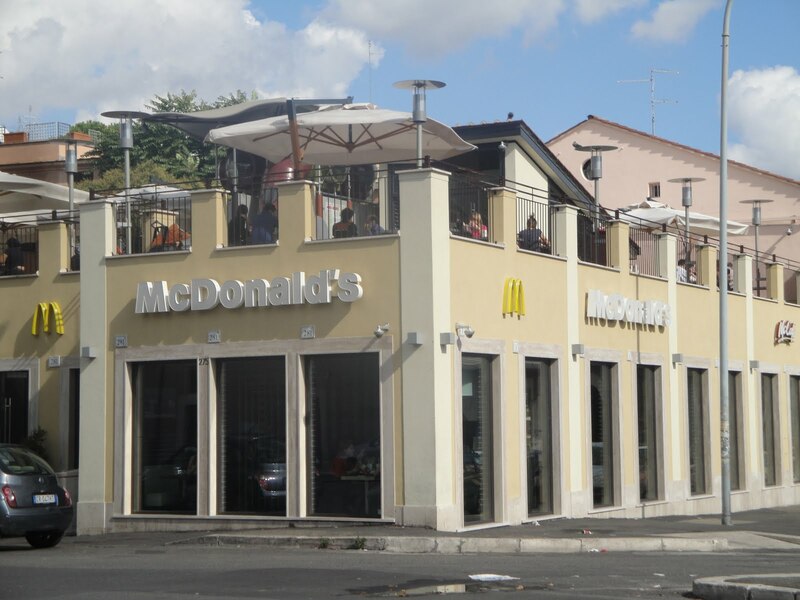 McDonald’s were also very much prevalent, which surprised me. A couple of us on the trip came up with a game that whoever spotted a McDonald’s first in a specific area would get a point and I came out on top at the end of the trip. Again, Obviously there is still so much more I could share. If you want to talk more about my trip, I’ll be happy to talk about it. Just ask! 🙂 Thanks for reading! I just browsed through quickly, but it looks like an awesome experience…I need to go! 🙂 I'll be back after my tests/projects to look more in depth. I love your blog. That Nicolas is a special boy, like you!